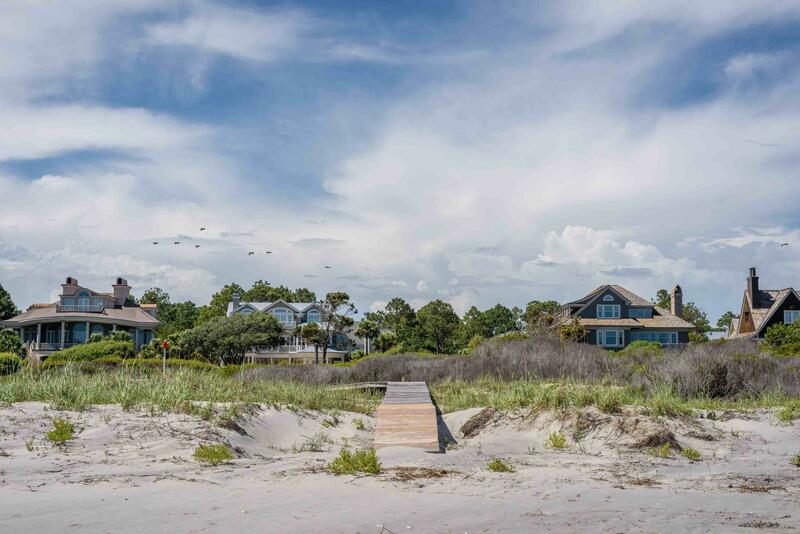 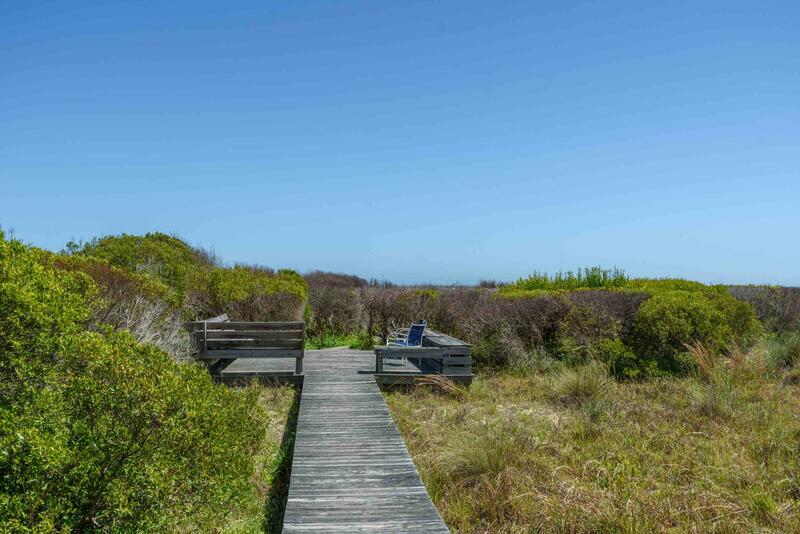 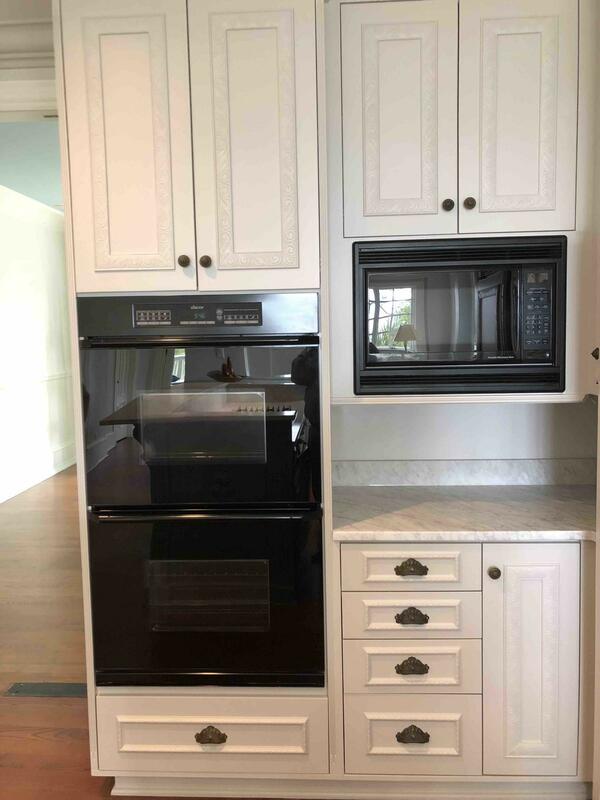 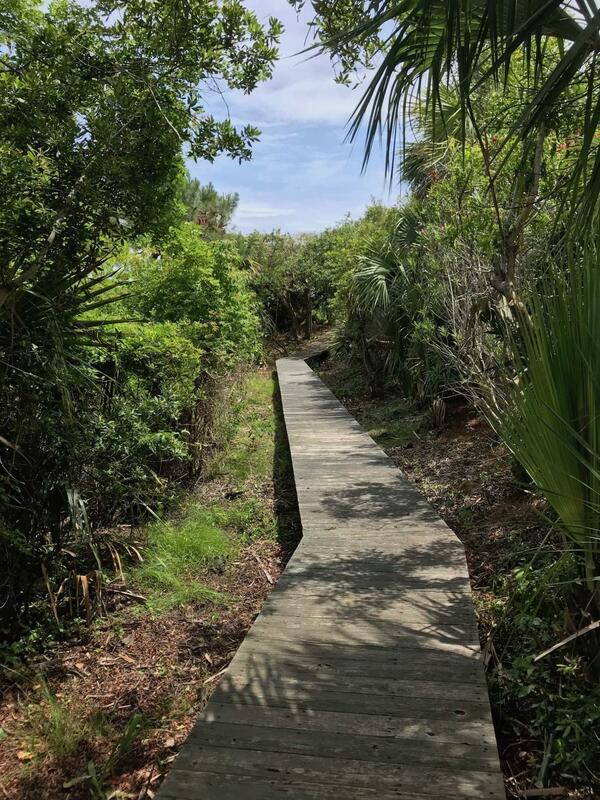 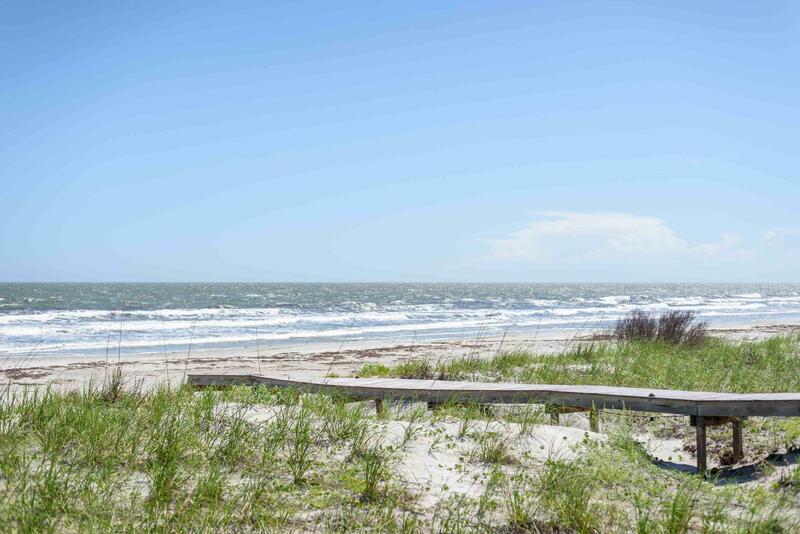 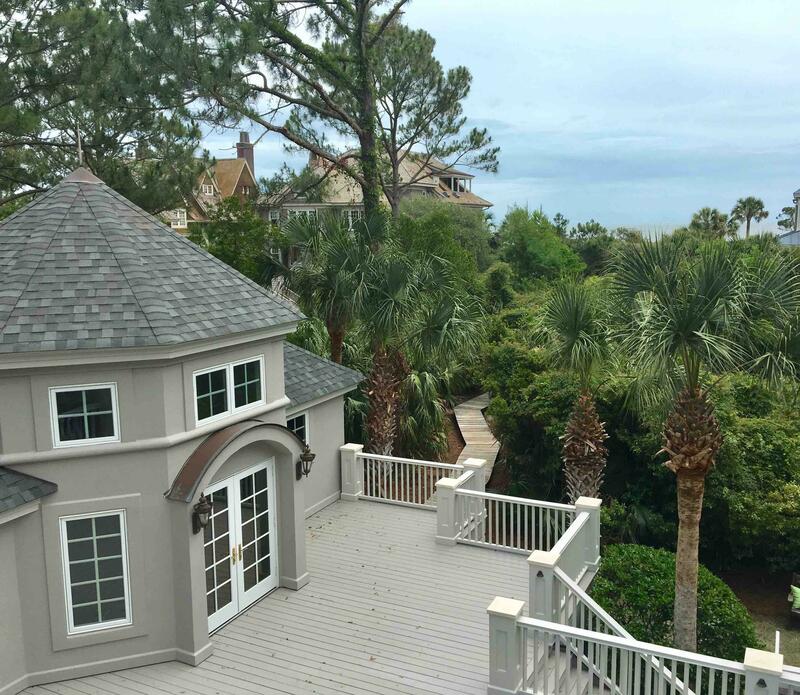 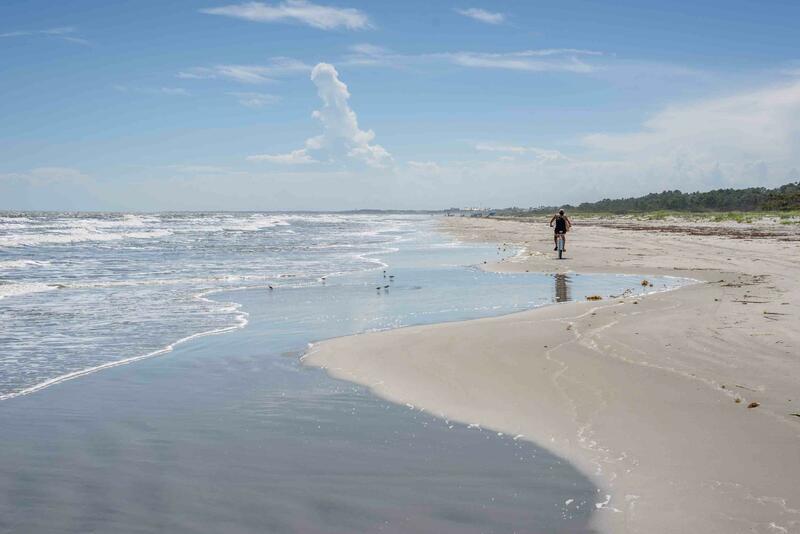 One of the lowest price per square foot houses with direct beach access, move in now and enjoy Kiawah all Spring and Summer. 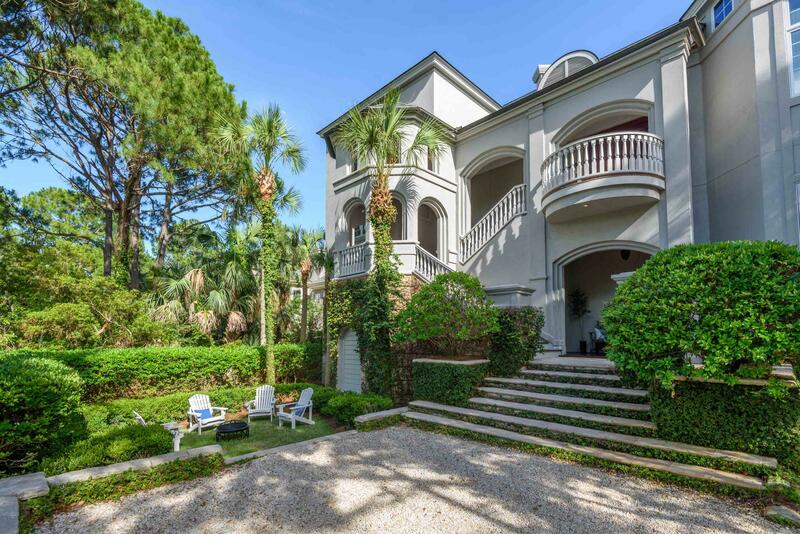 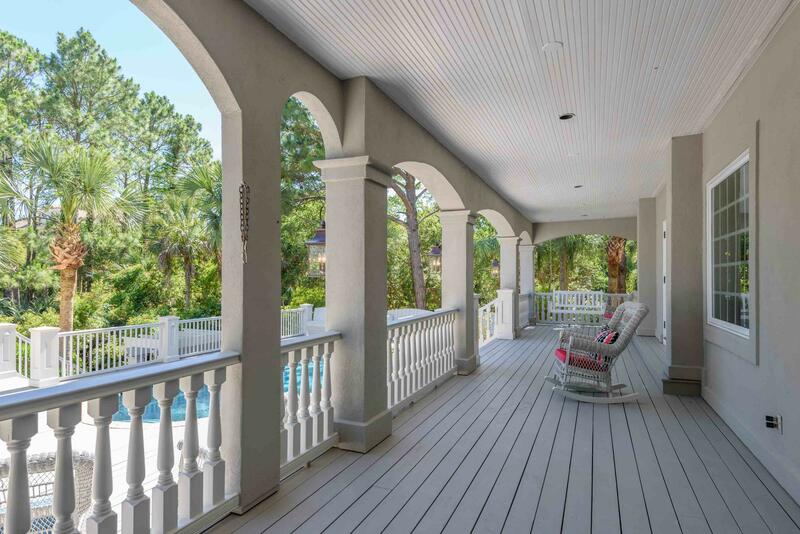 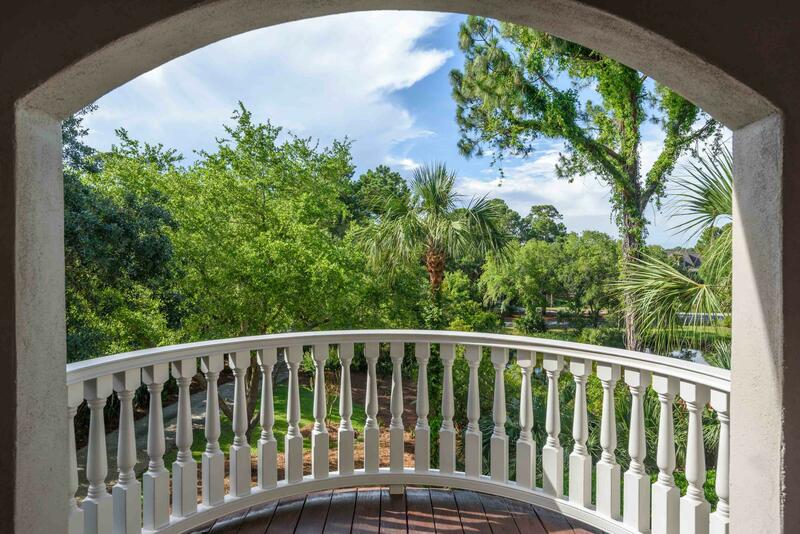 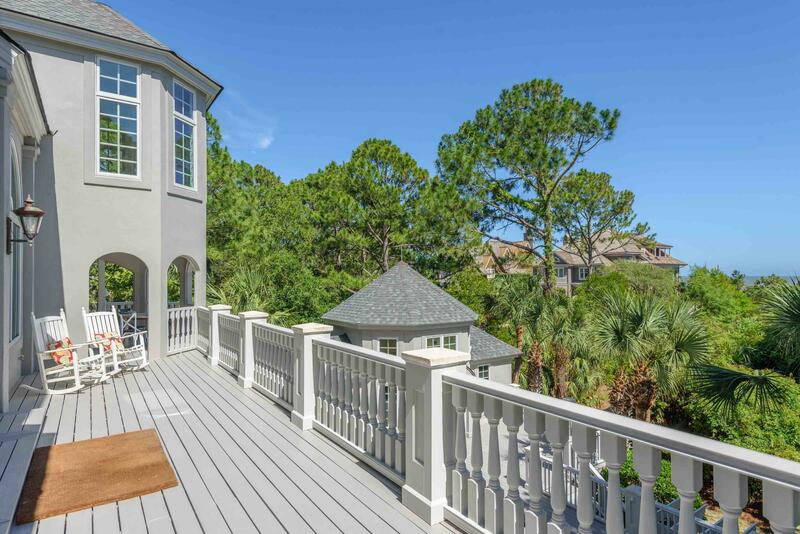 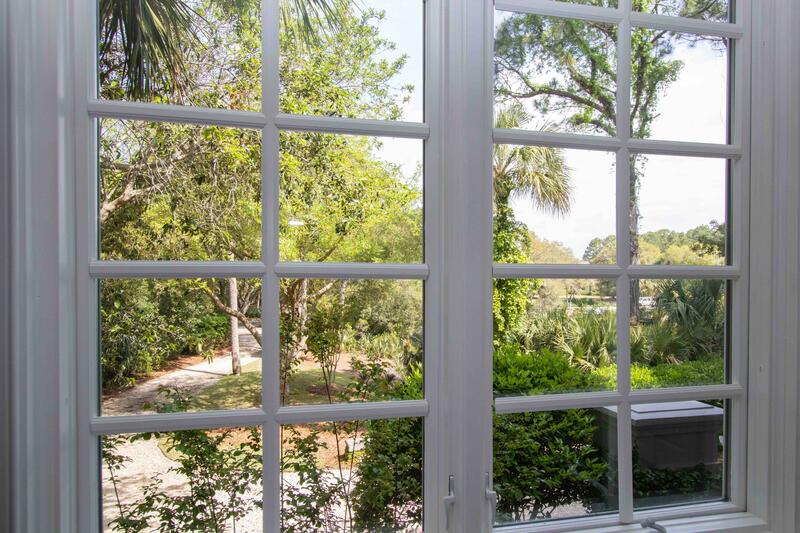 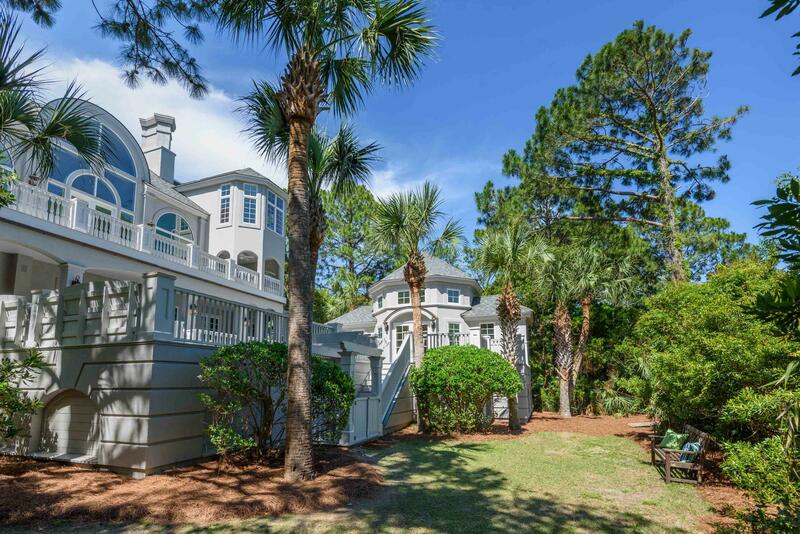 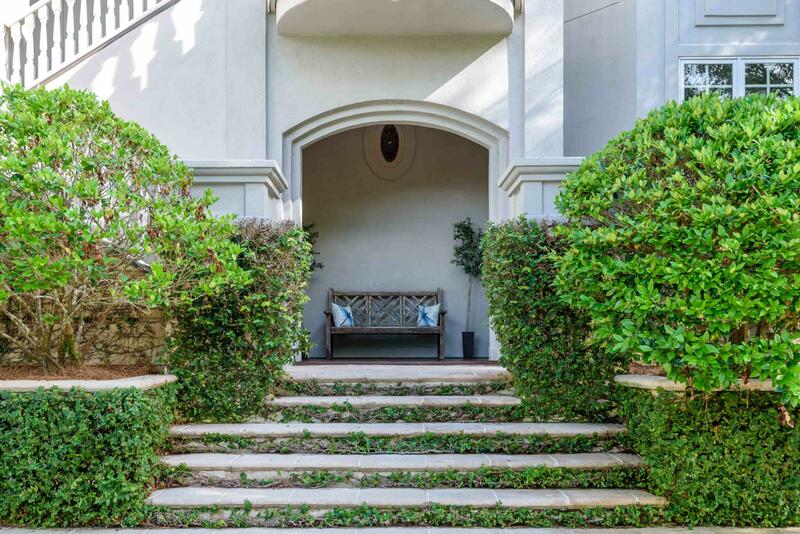 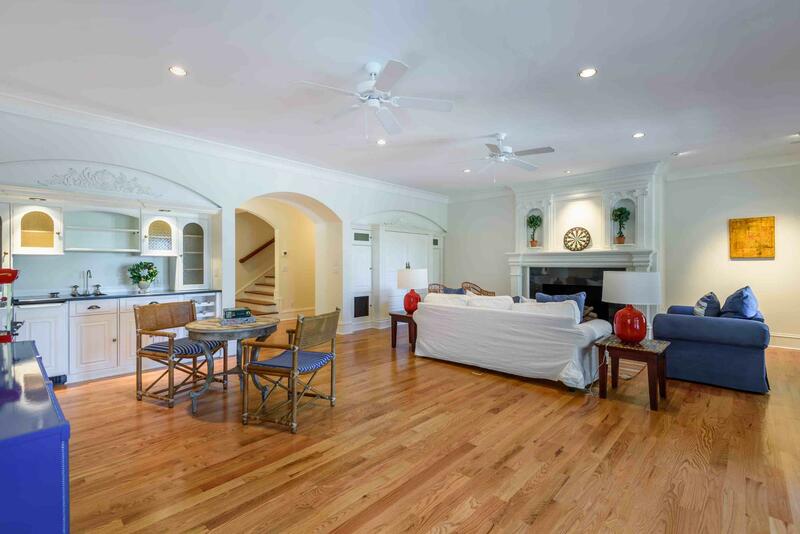 This property offers the opportunity to purchase an exclusive Kiawah Island Golf Membership so you can enjoy all the amenities Kiawah has to offer. 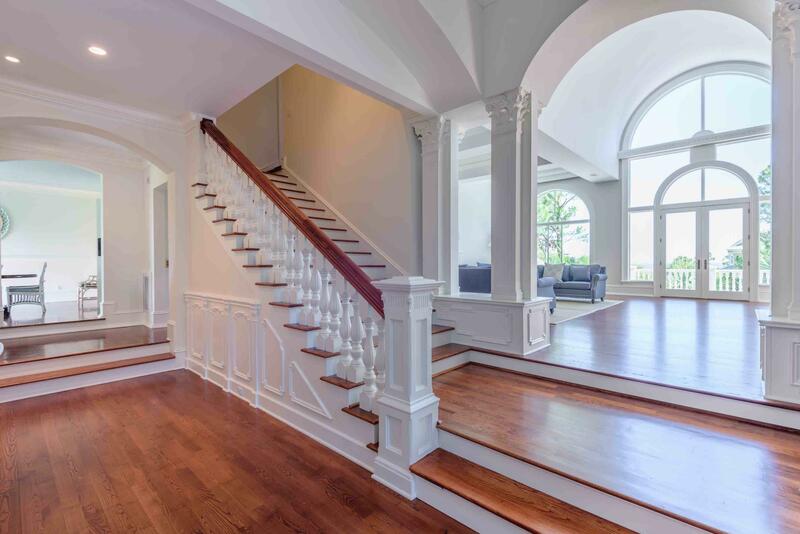 With a whole new look, this gorgeous home is a must see! 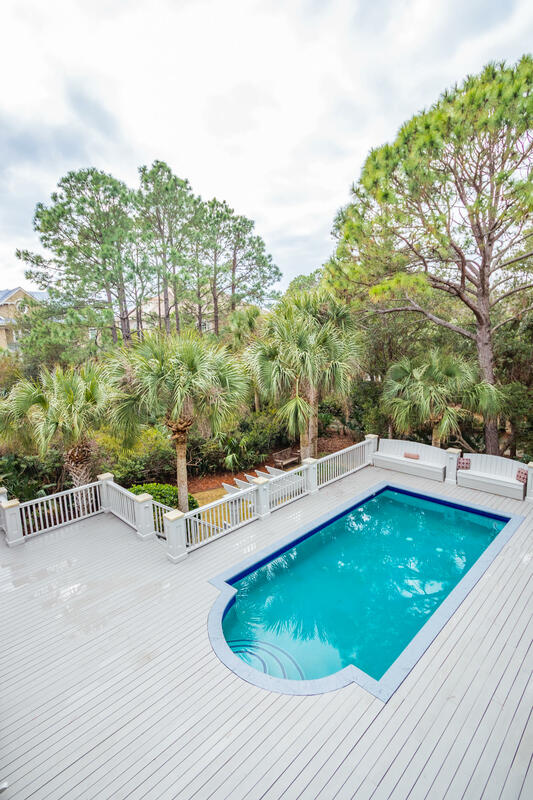 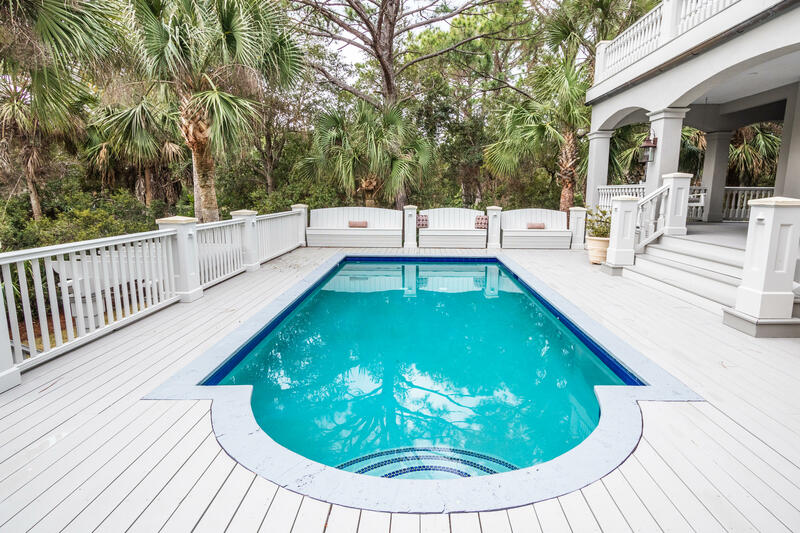 Newly-renovated with a pool and private boardwalk to ocean, it offers Direct and private beach access from the house with close proximity to the Beach Club. 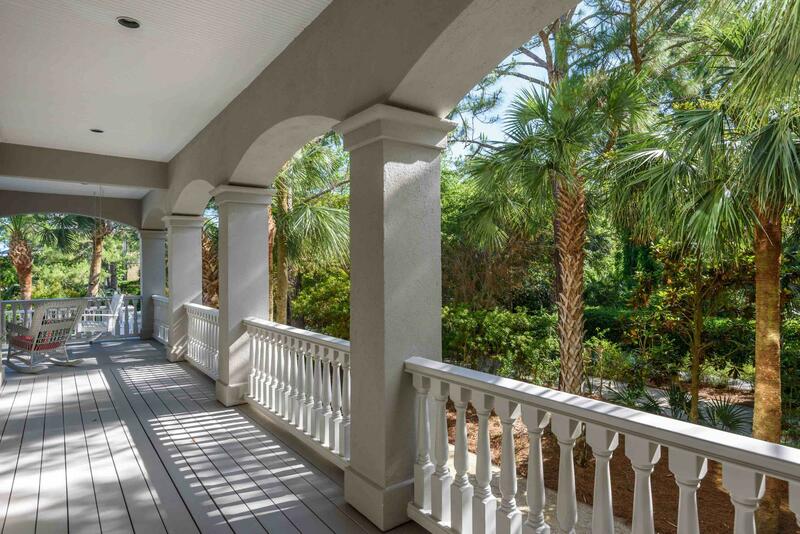 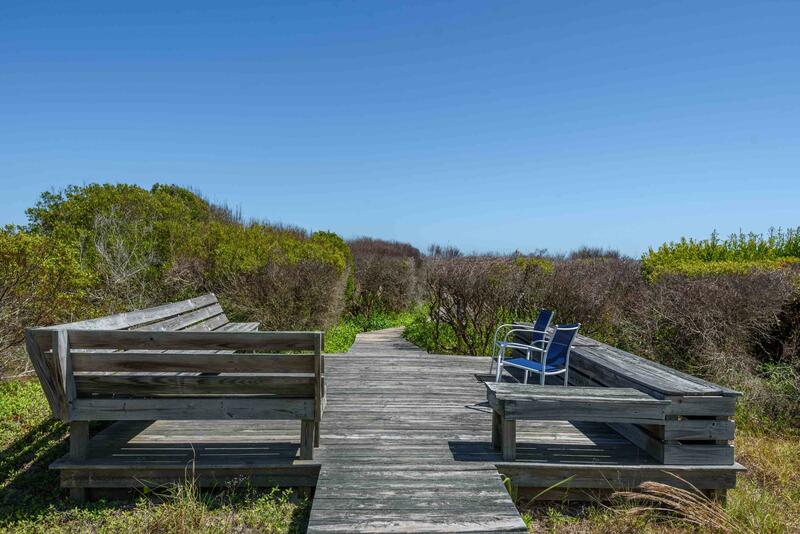 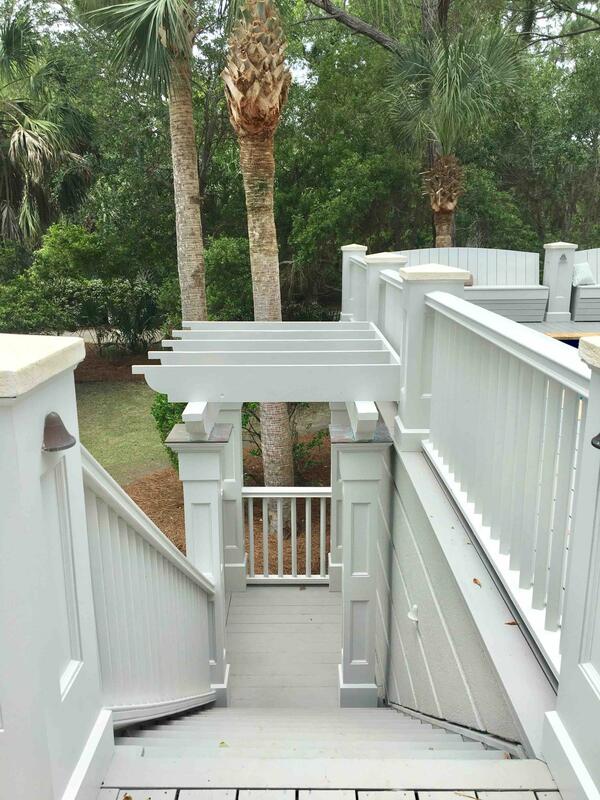 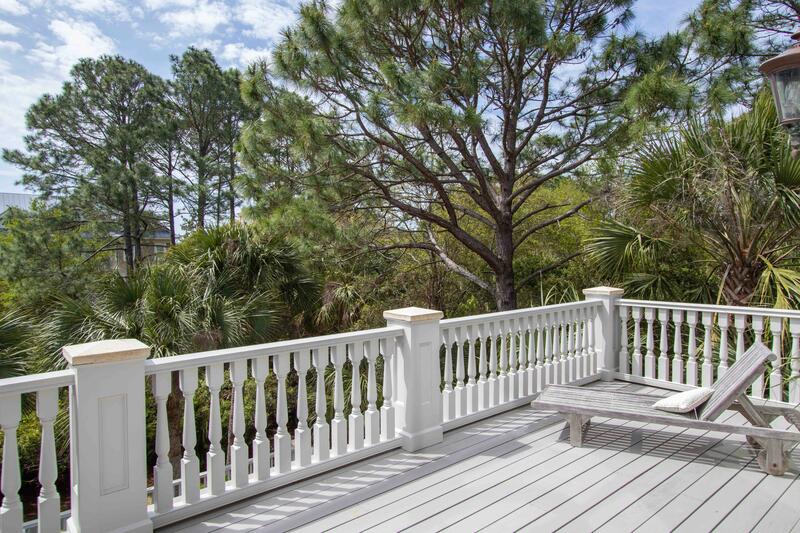 The private boardwalk patio is nestled in the dunes with outstanding views of the ocean. 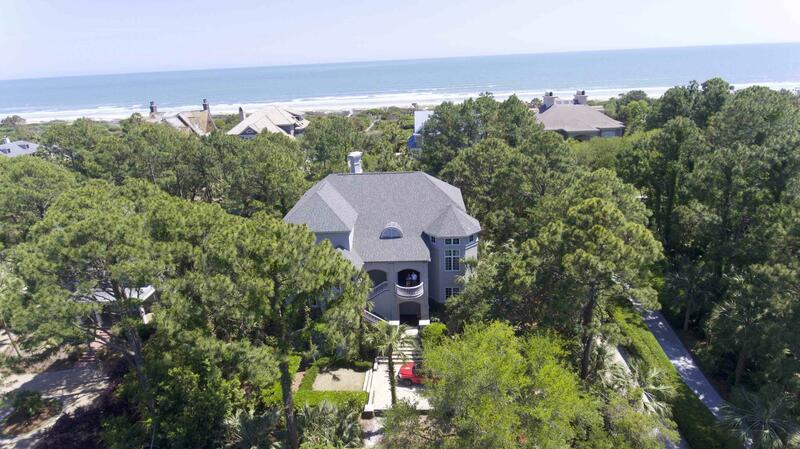 With stunning views of the Atlantic Ocean, this one of a kind custom home has been built to an impeccable quality. 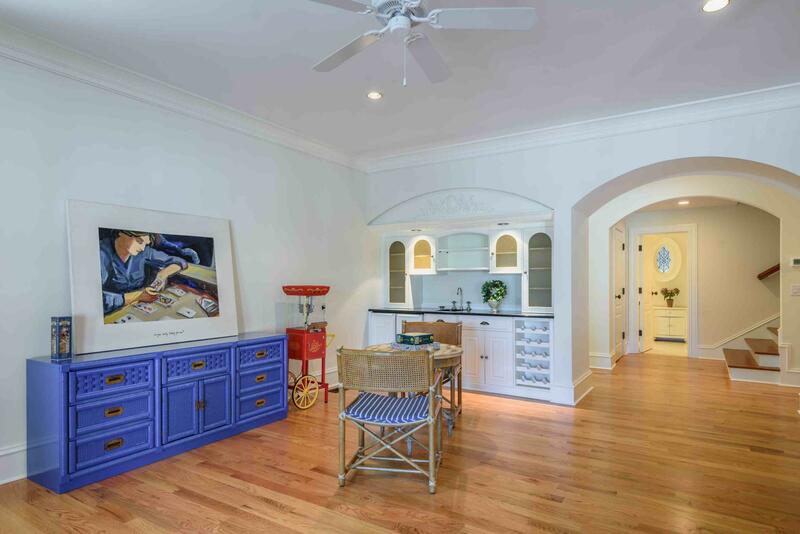 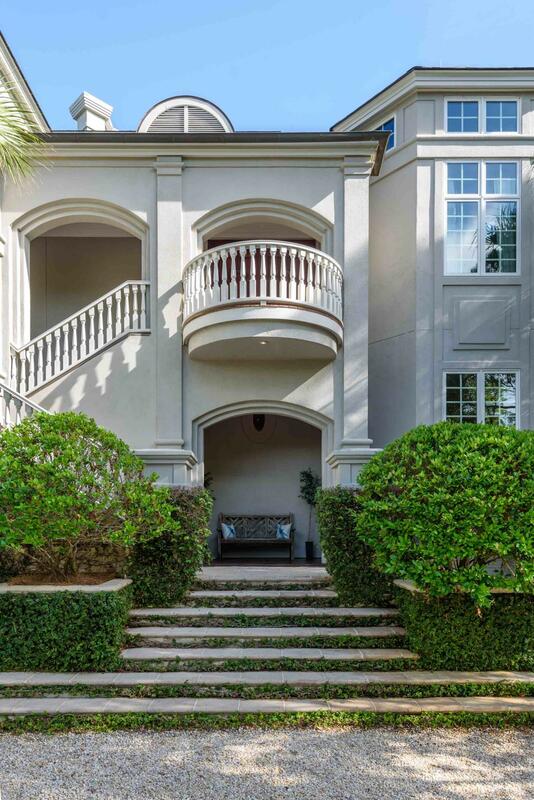 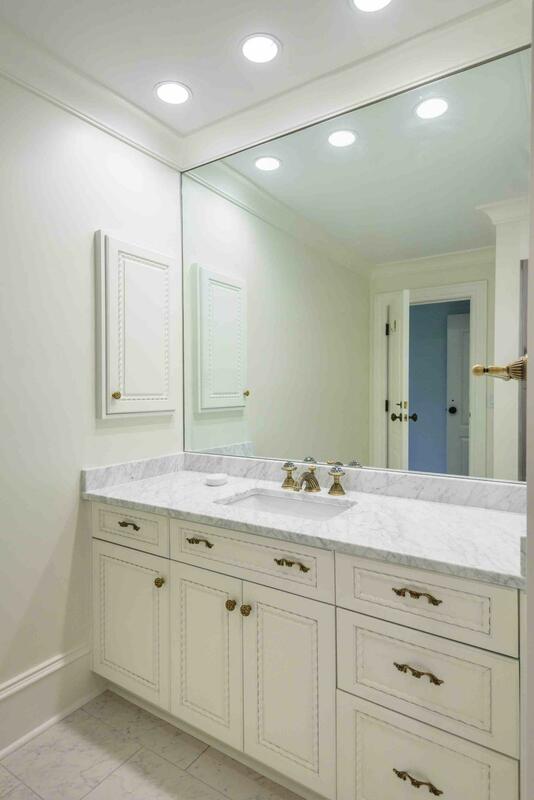 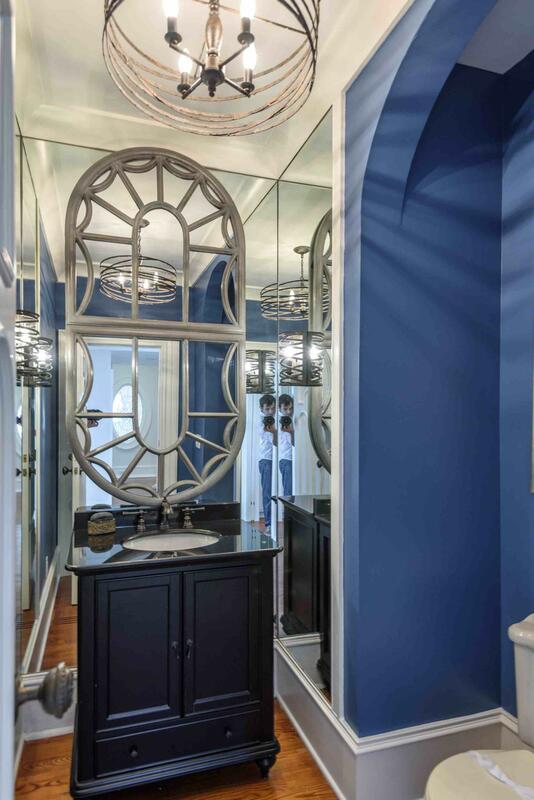 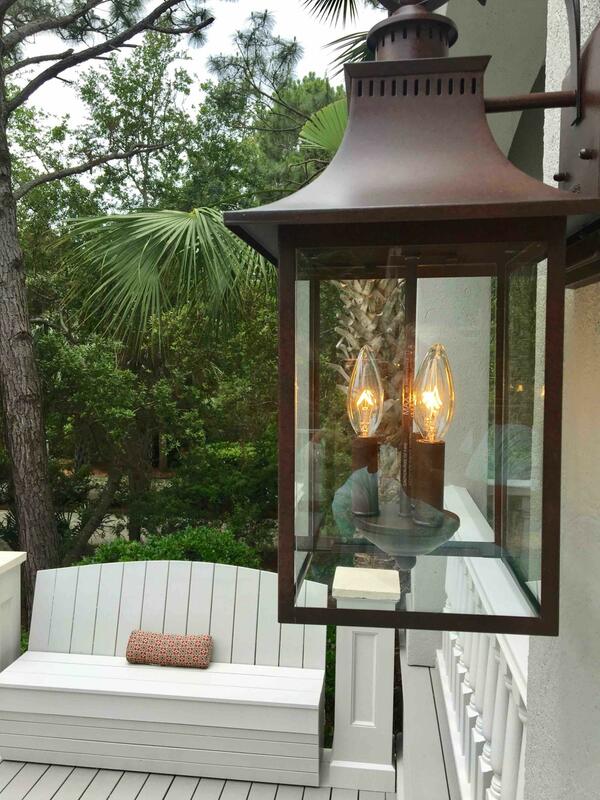 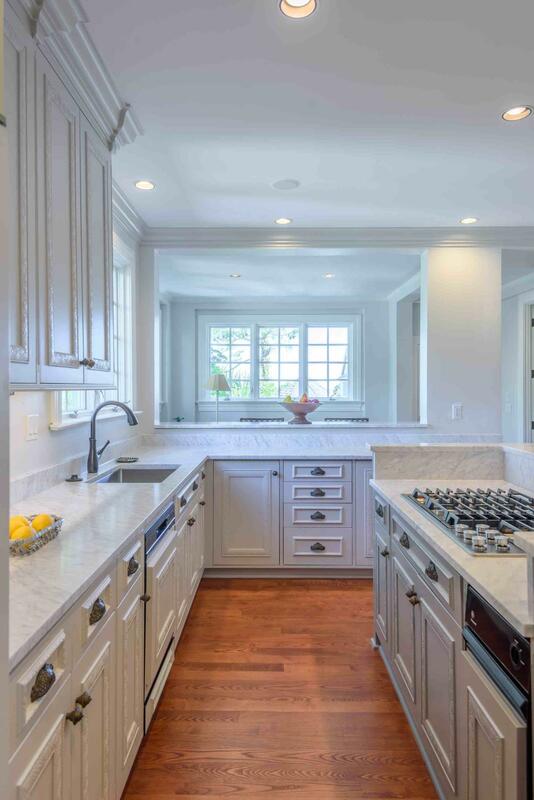 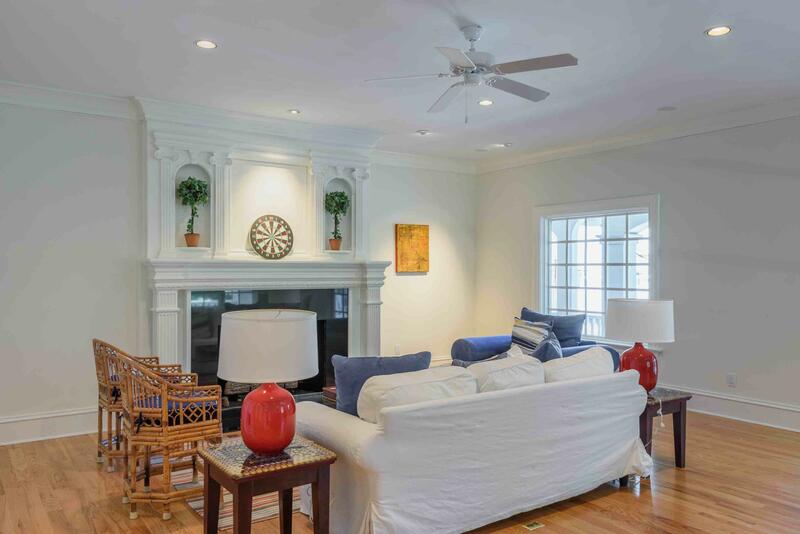 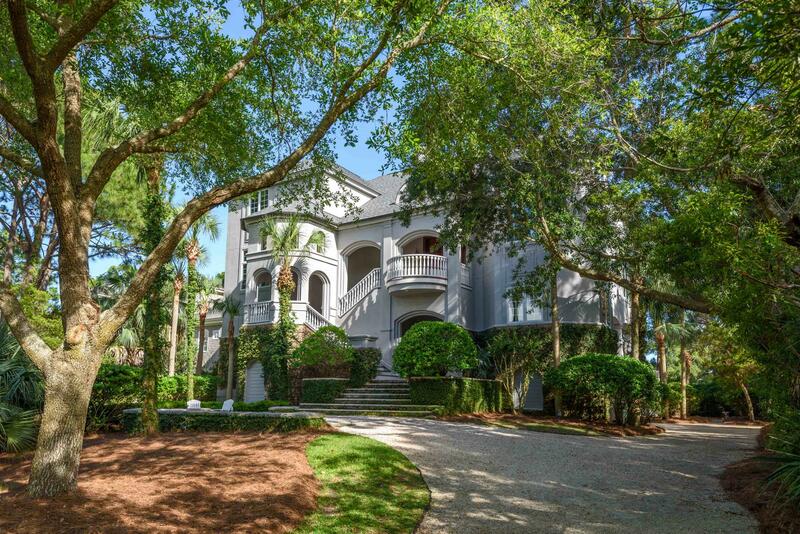 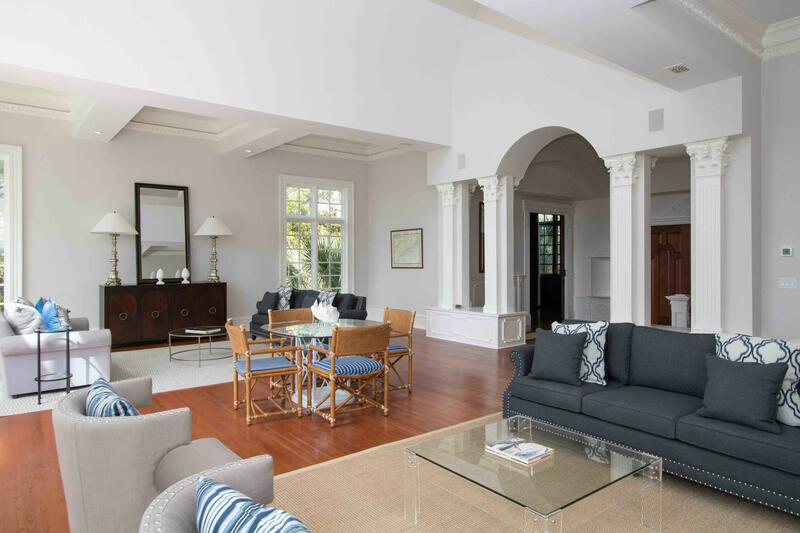 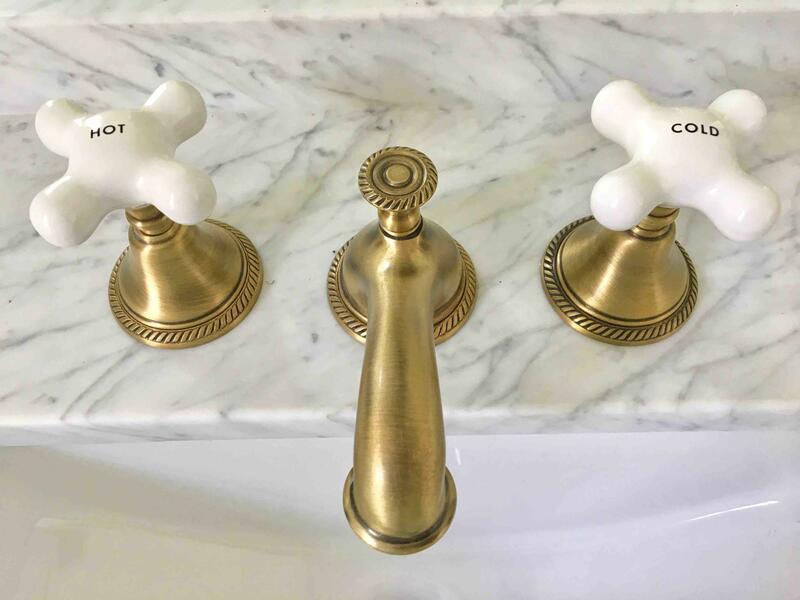 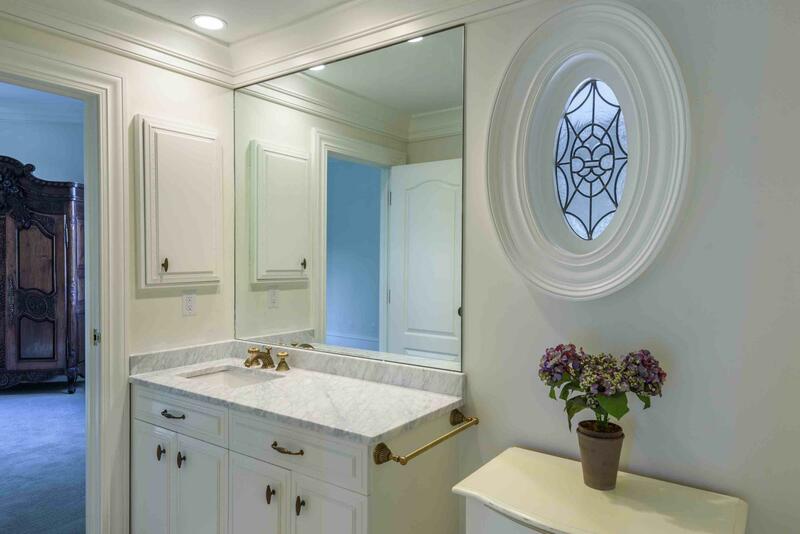 The Zach Carney design blends European details with a modern Lowcountry living floor plan. 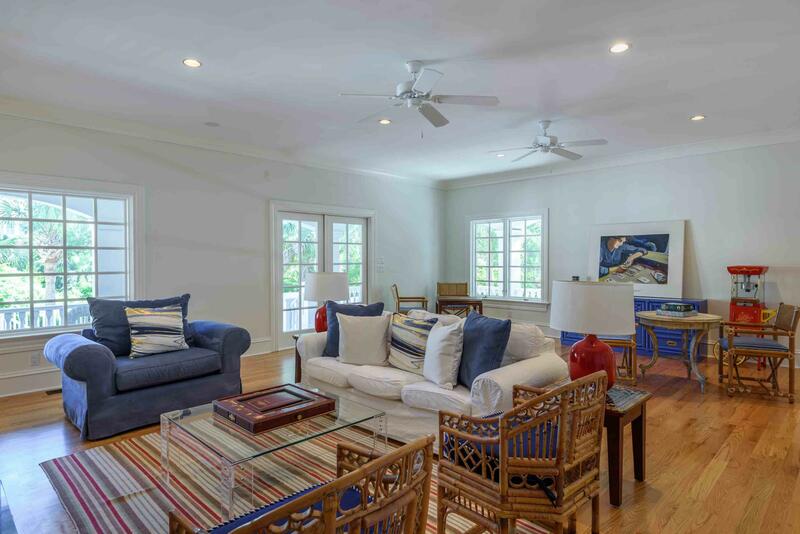 Complemented by its comfortable guesthouse, this residence is perfect for hosting just a few friends or a large reunion. 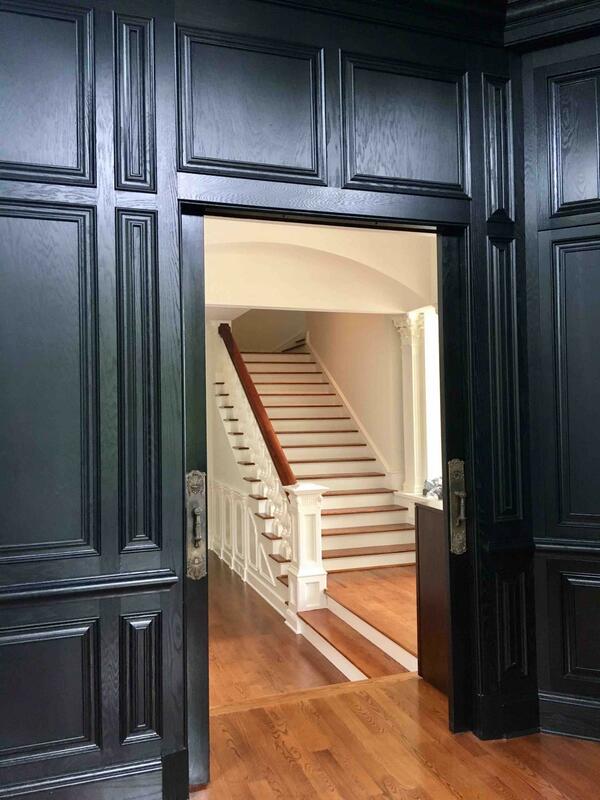 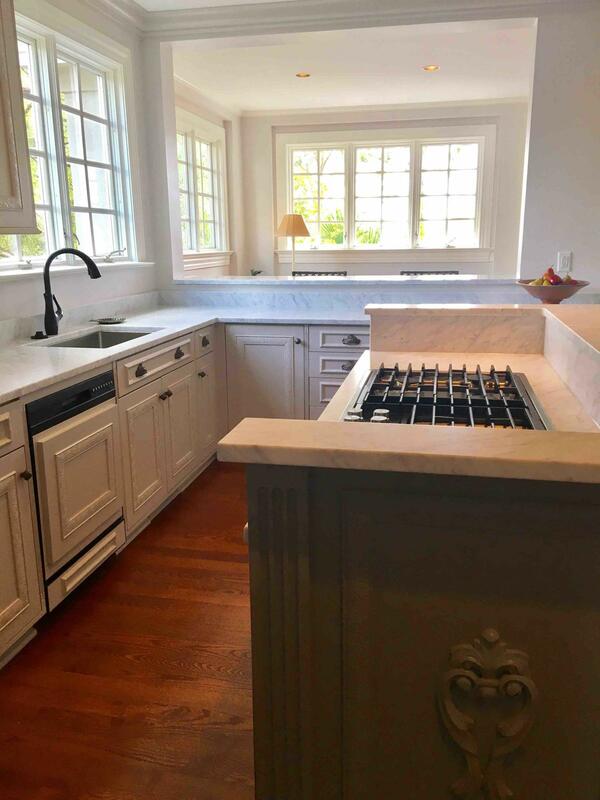 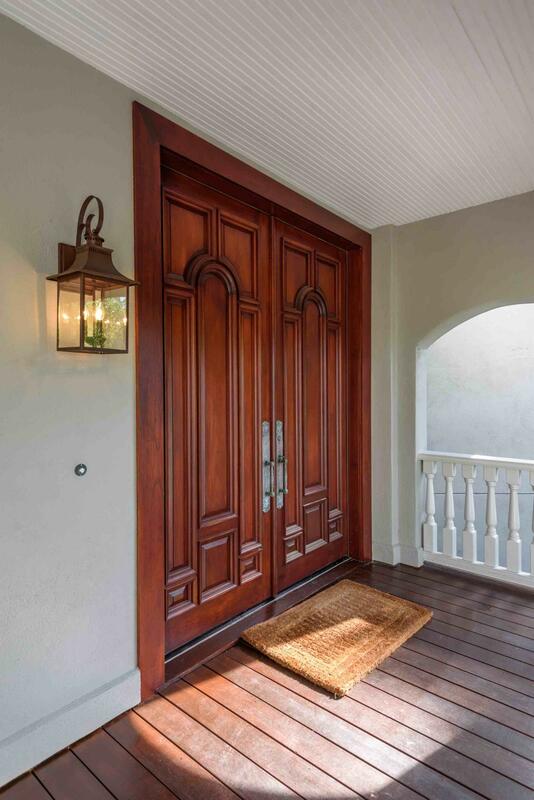 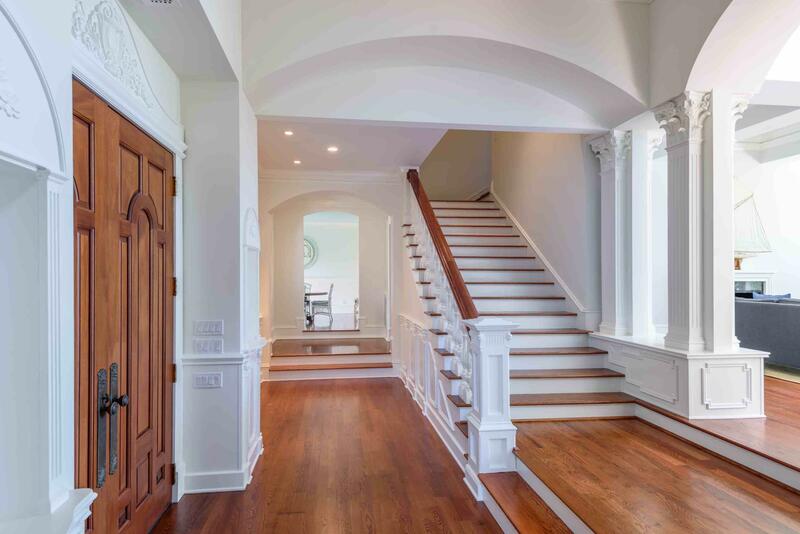 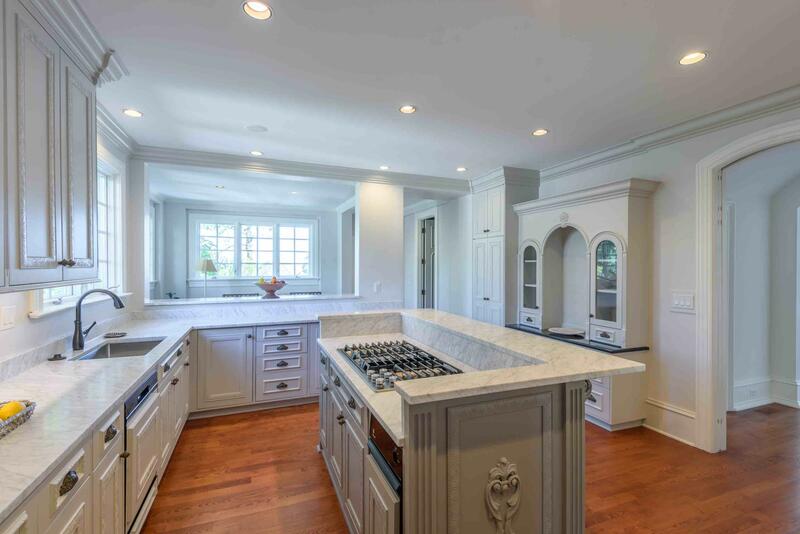 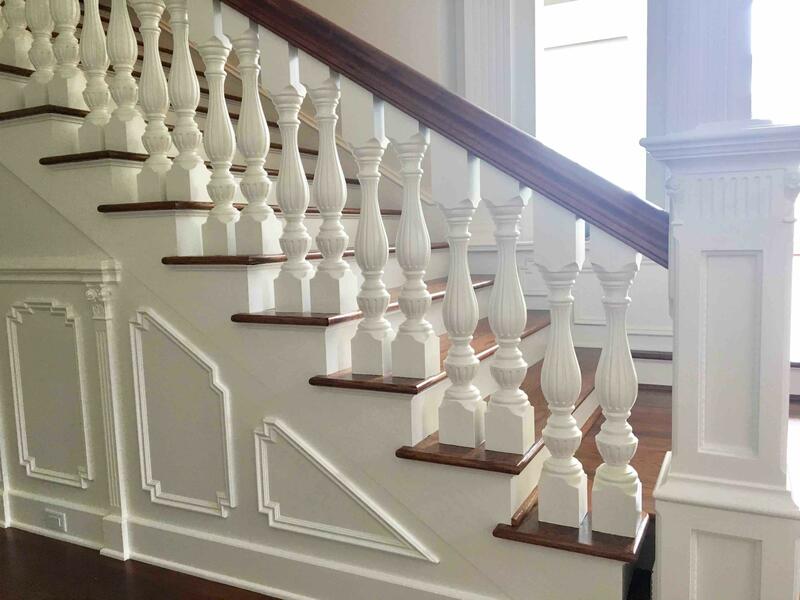 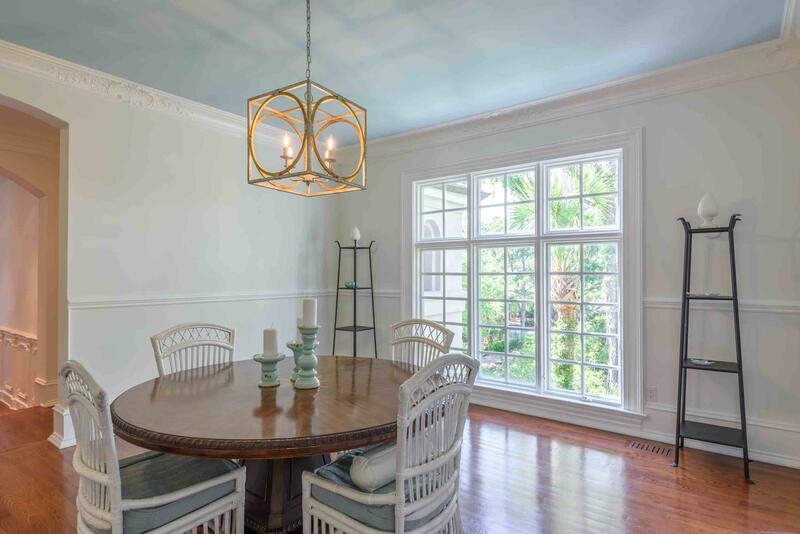 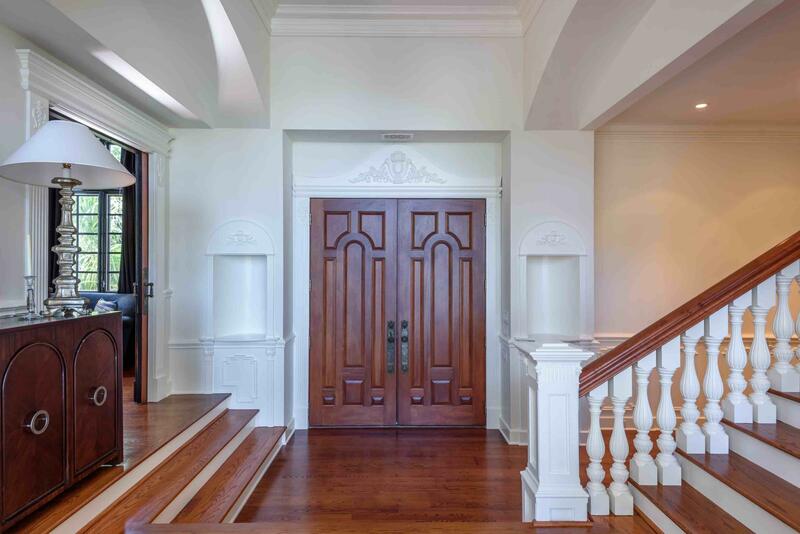 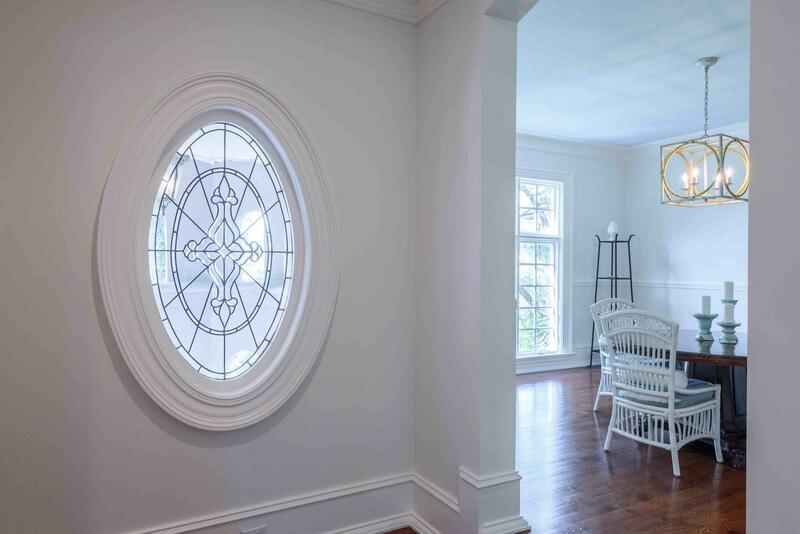 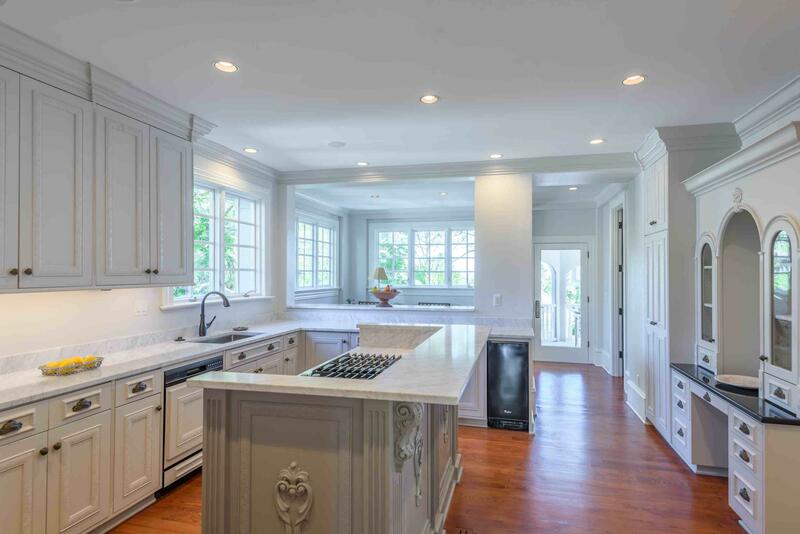 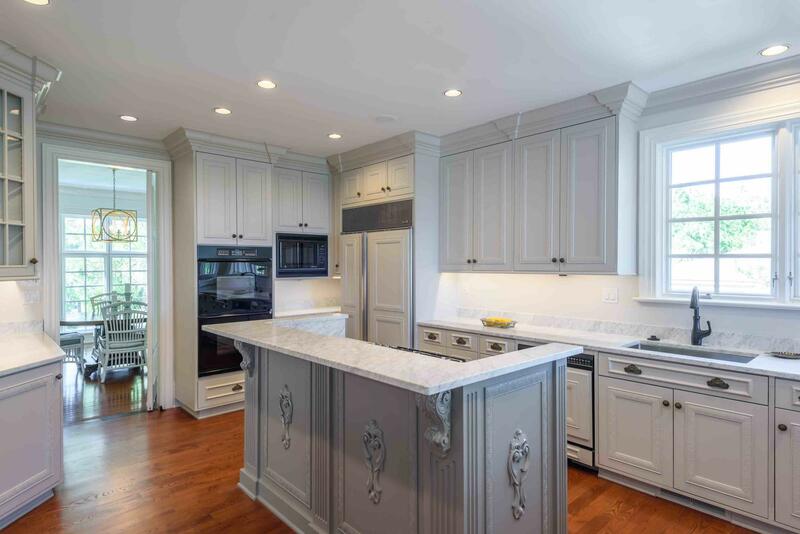 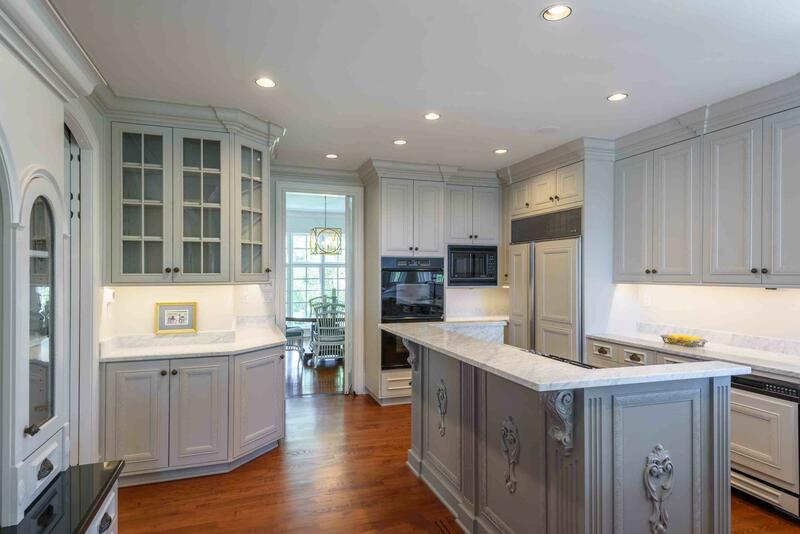 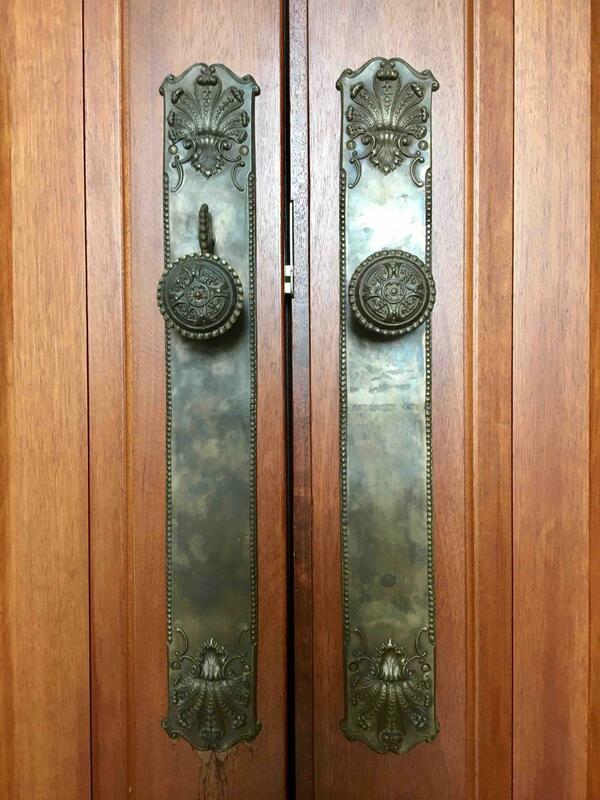 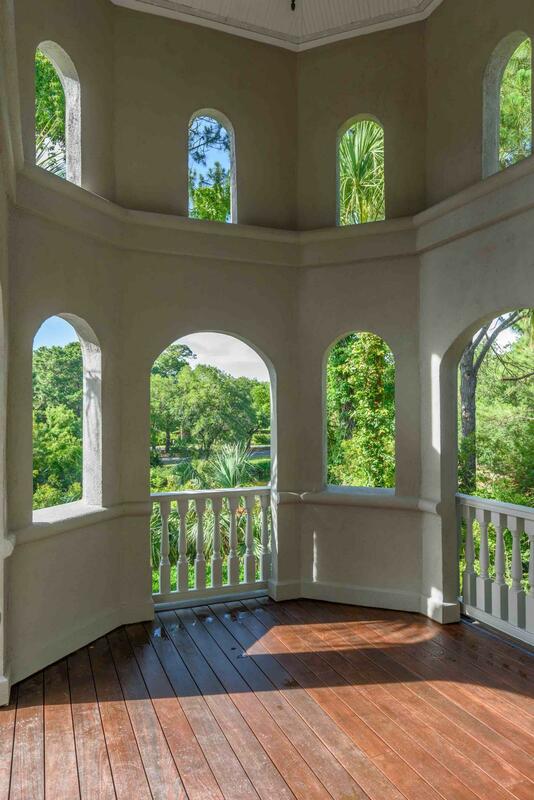 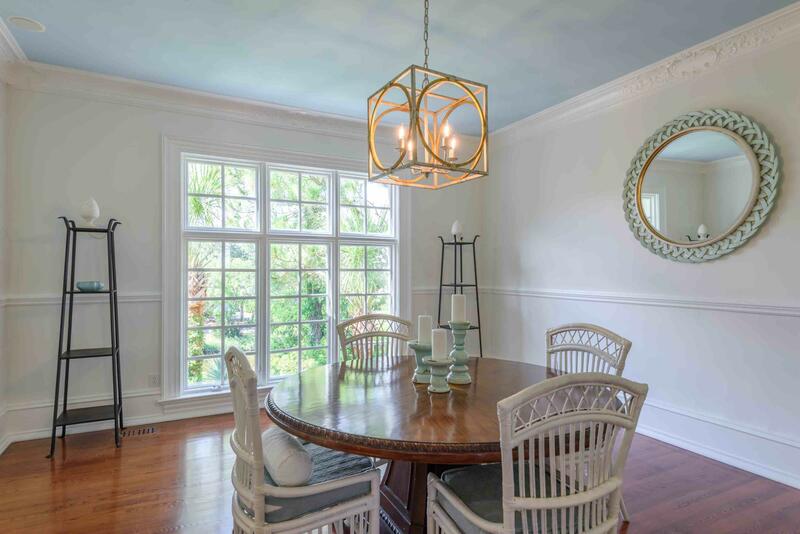 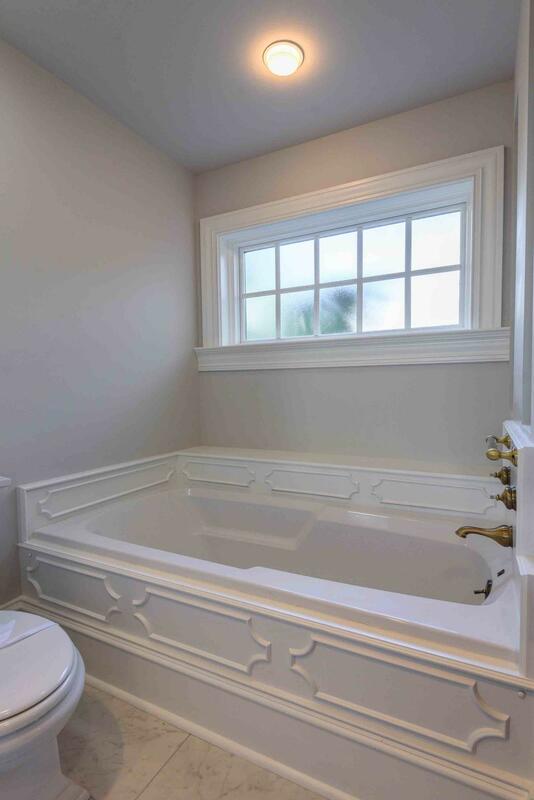 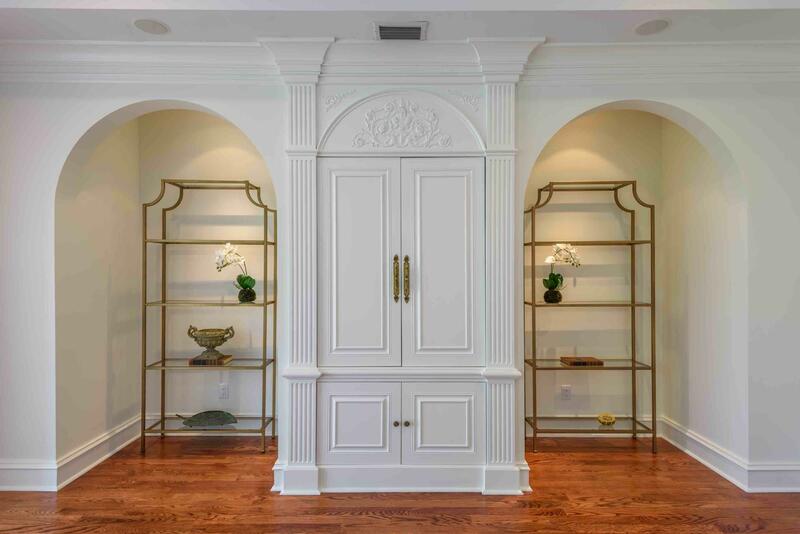 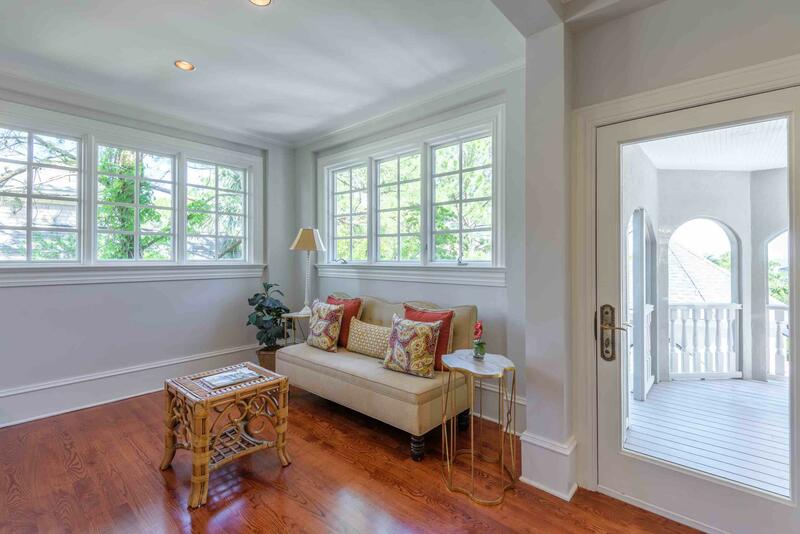 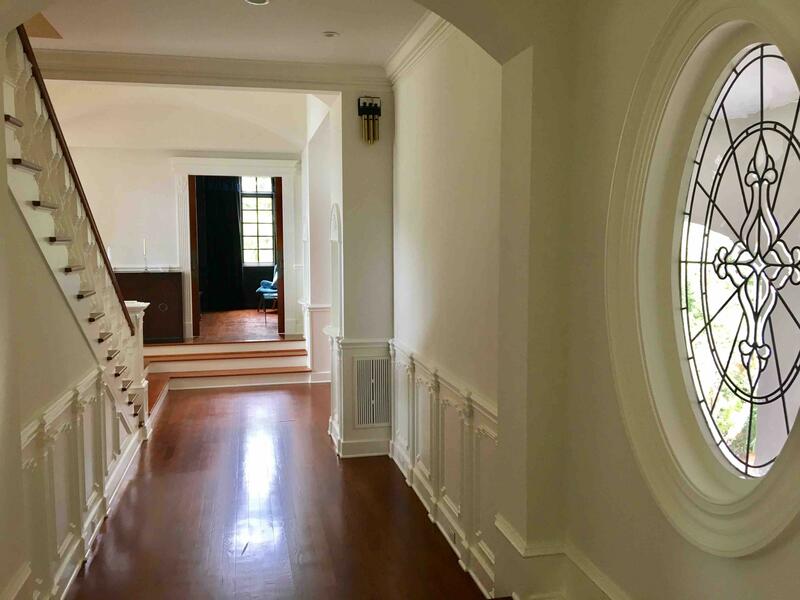 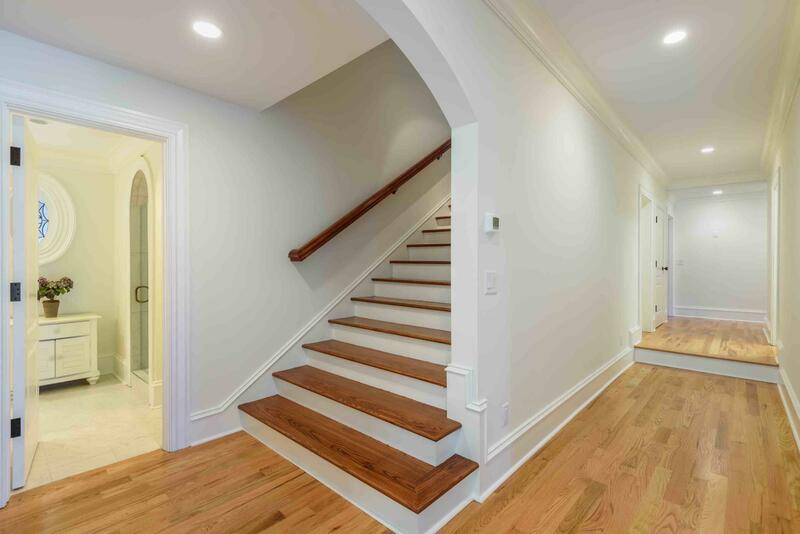 Upon entering the home you will be awed by the light airy expanse of the main living room and the amazing attention to detail in the woodwork, moldings and beamed, coffered ceilings. 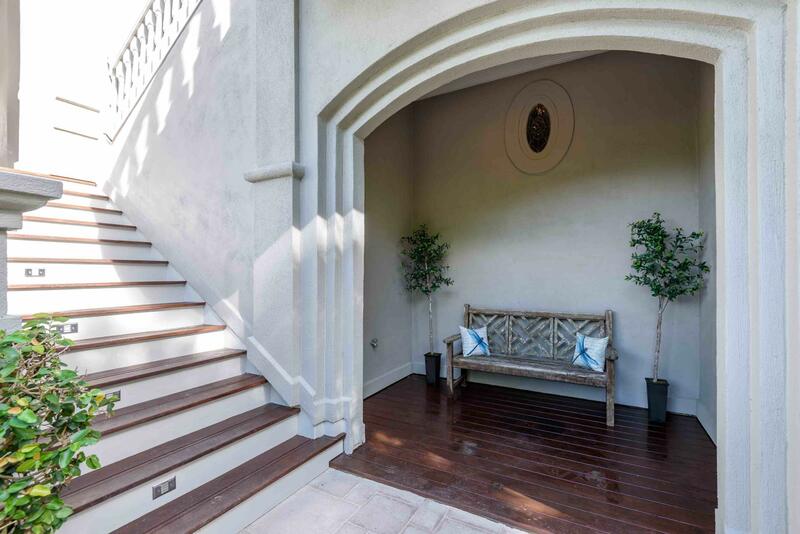 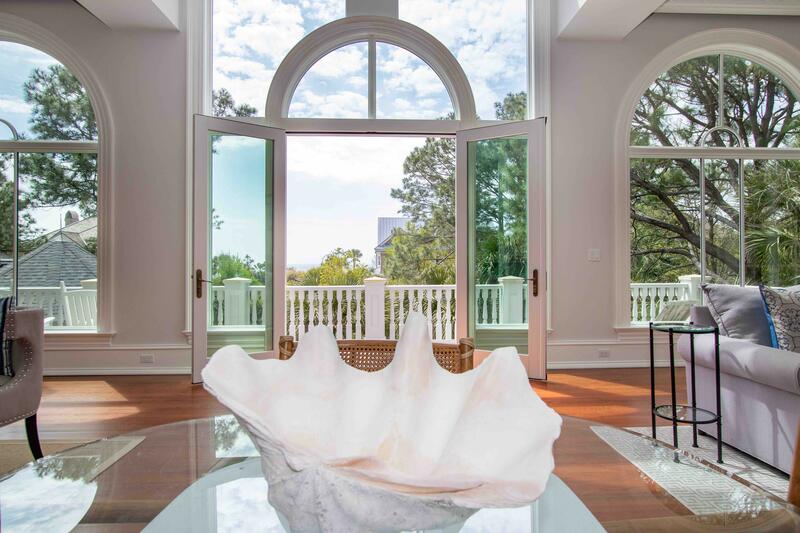 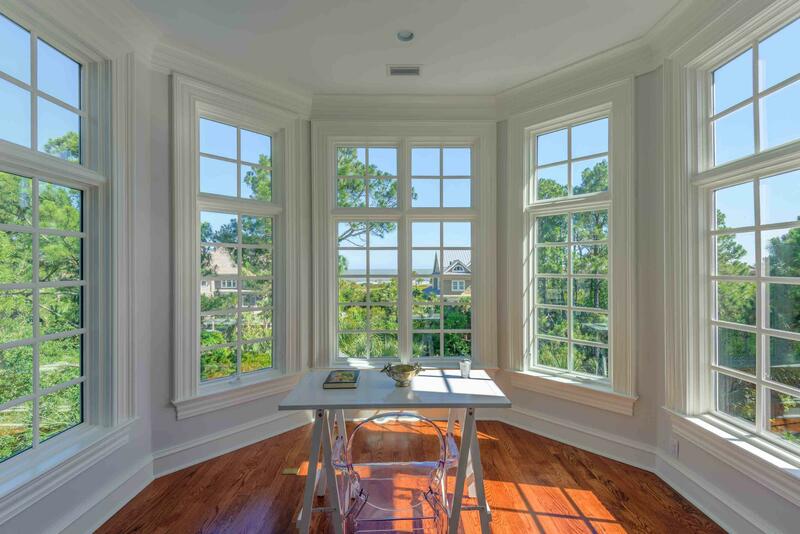 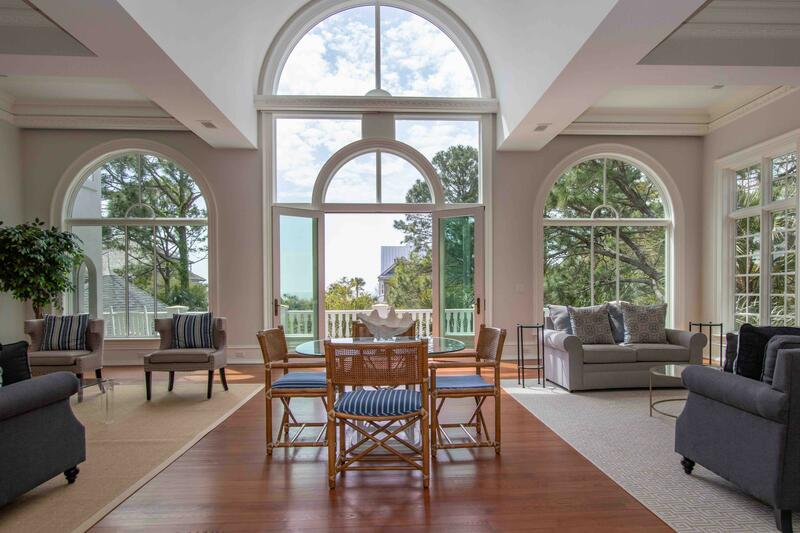 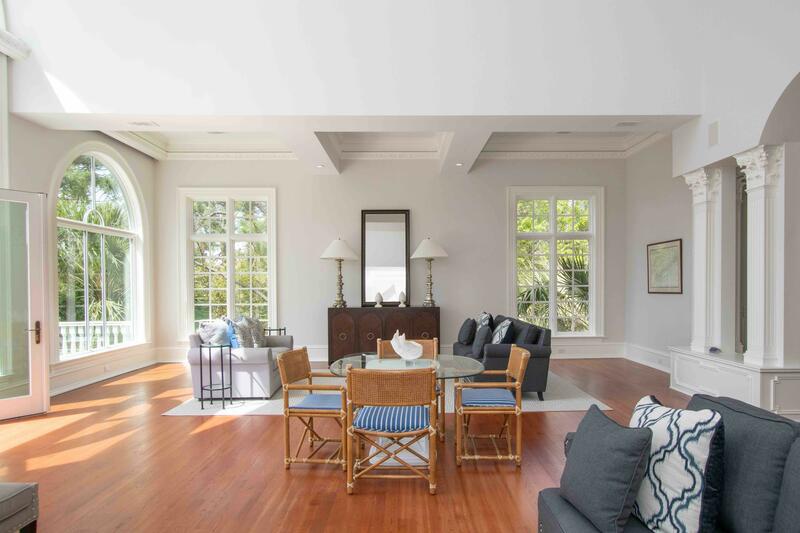 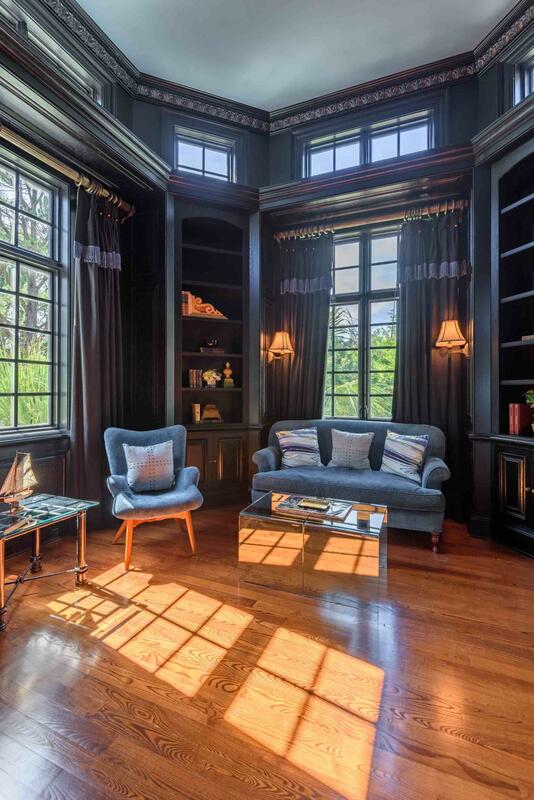 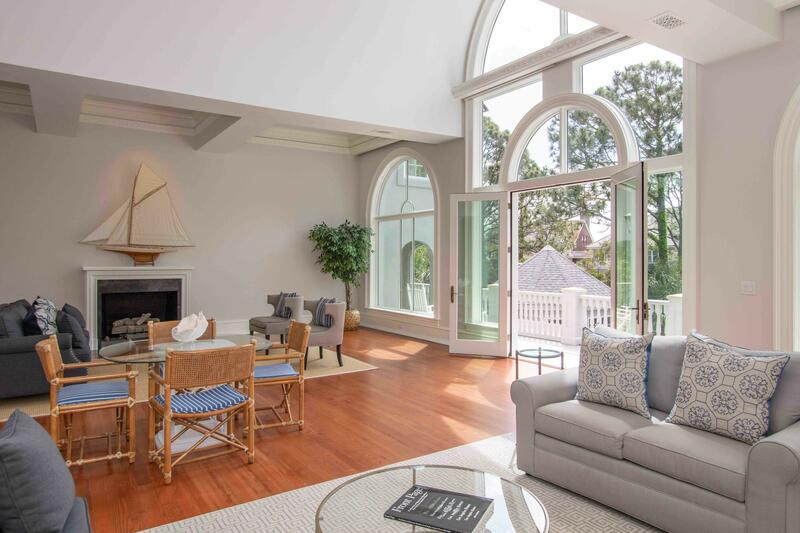 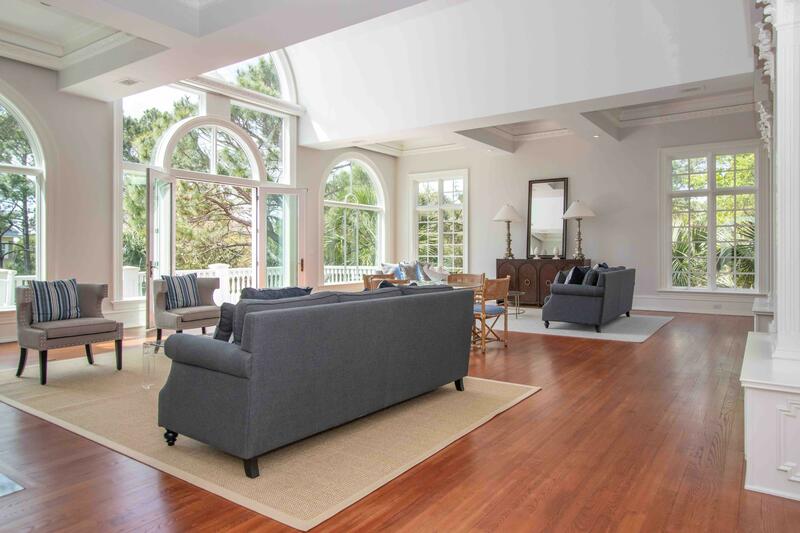 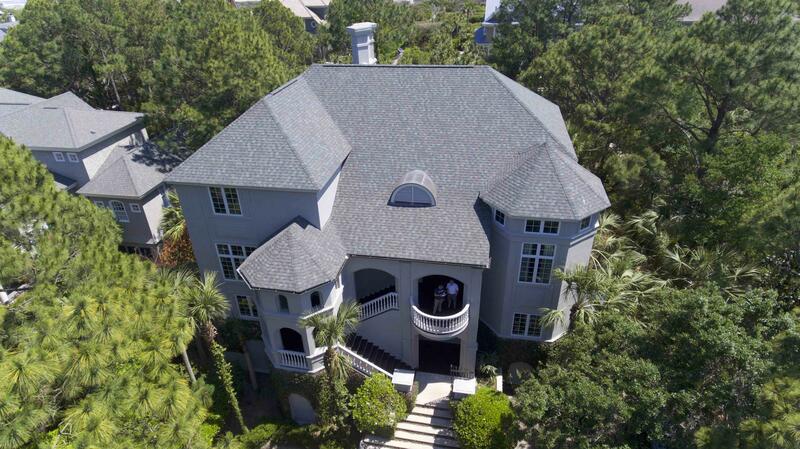 On the main floor you will find an impressive two-story library, a gourmet kitchen with ocean views ideal for entertaining, and a separate dining room overlooking the pond in the front of house. 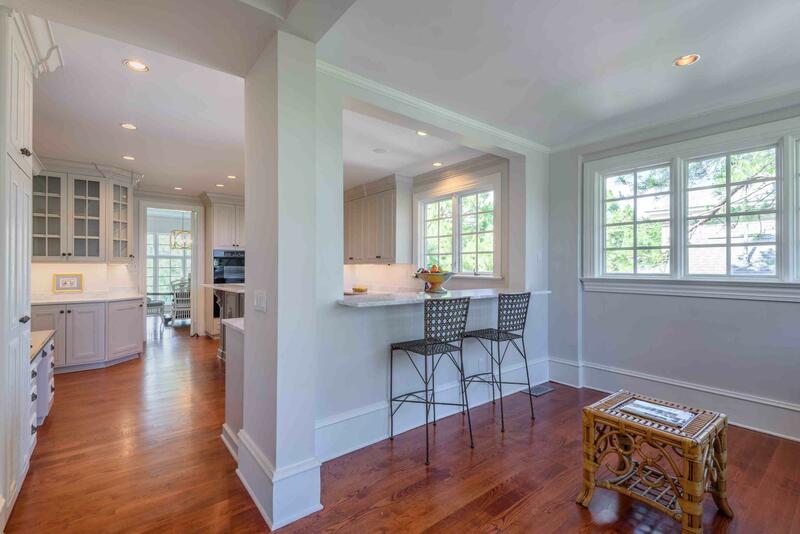 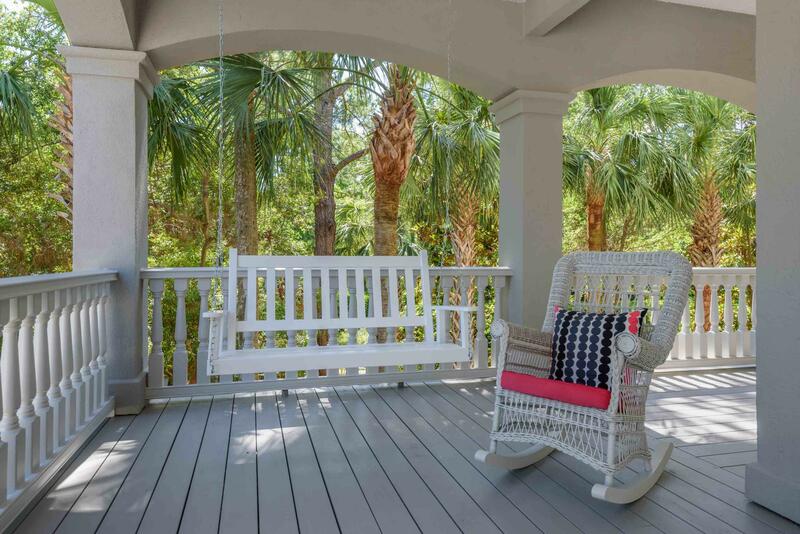 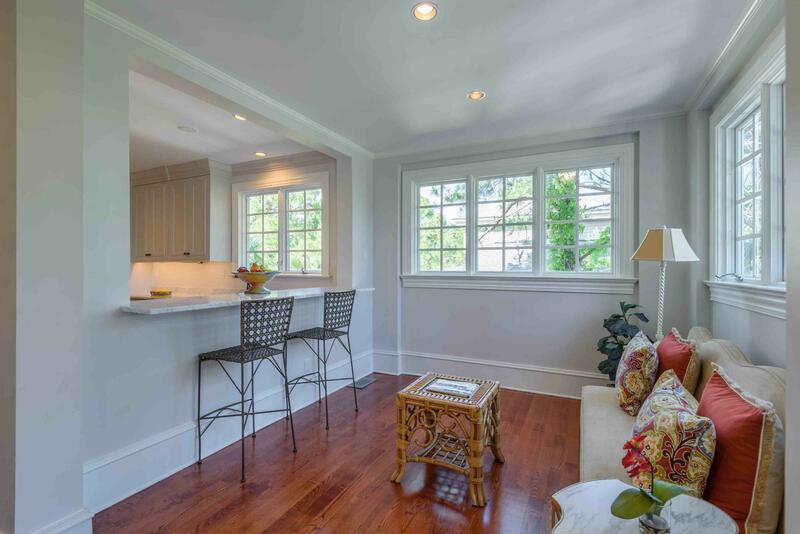 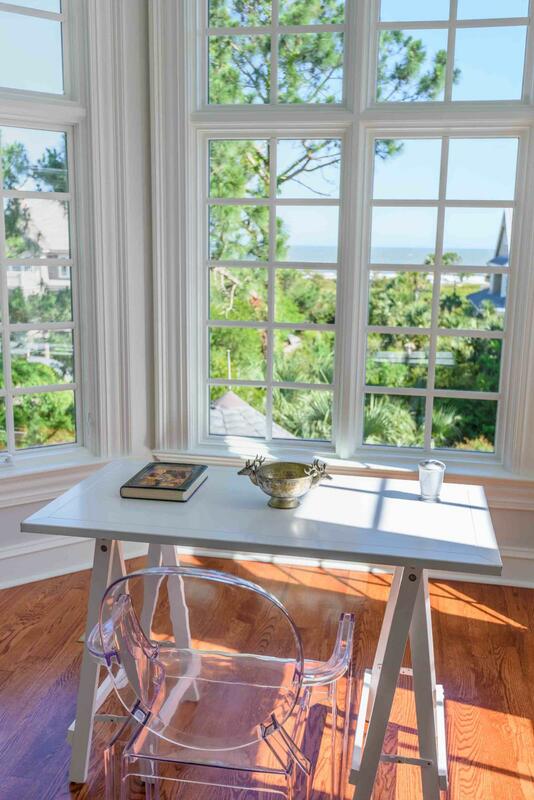 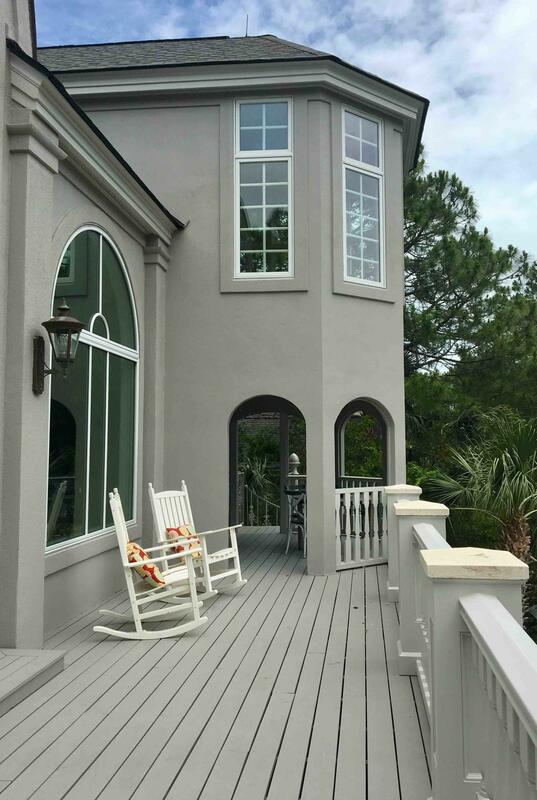 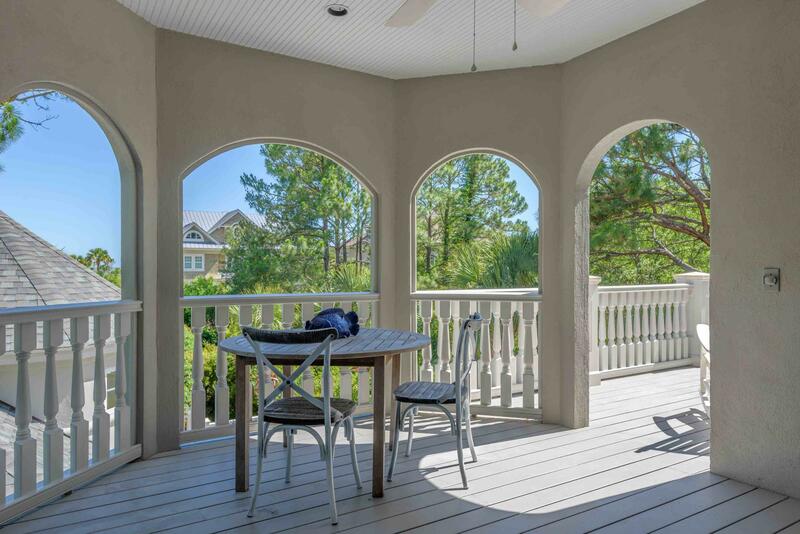 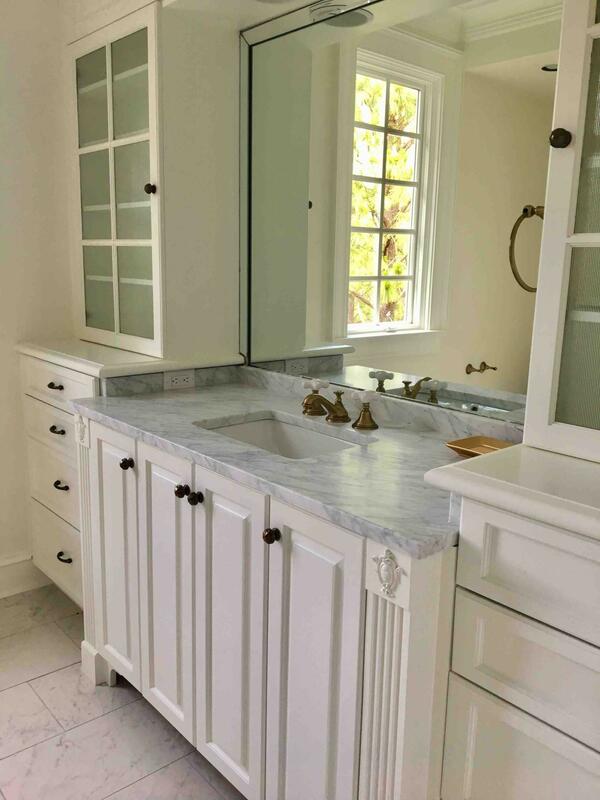 This floor also features an inviting screened outdoor breakfast dining porch for sipping coffee or just gazing at the ocean and smelling the salt air, a powder room, and an ocean-front tanning deck. 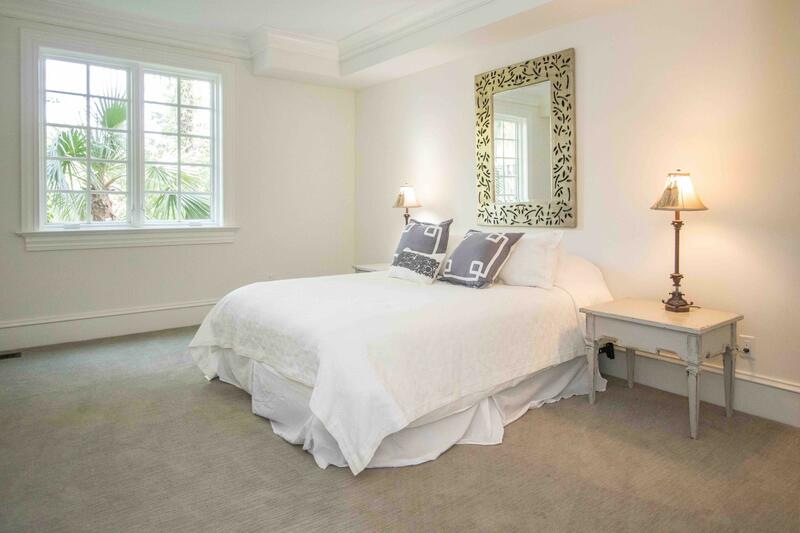 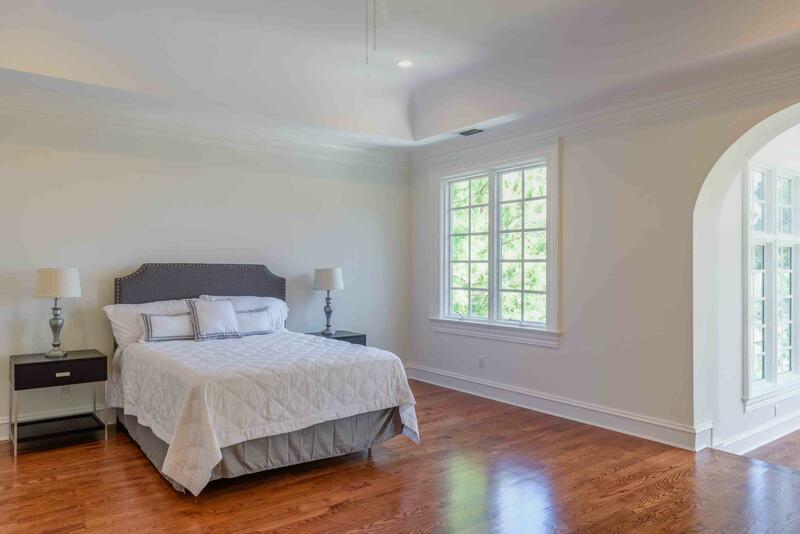 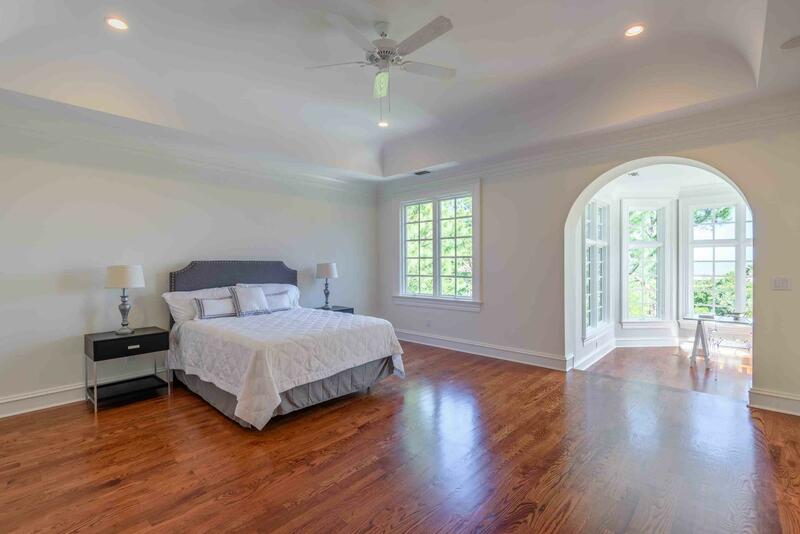 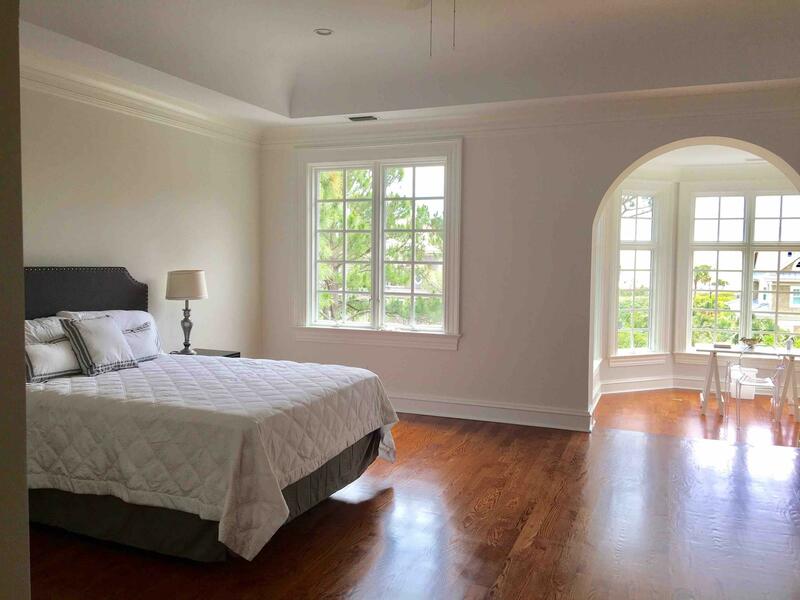 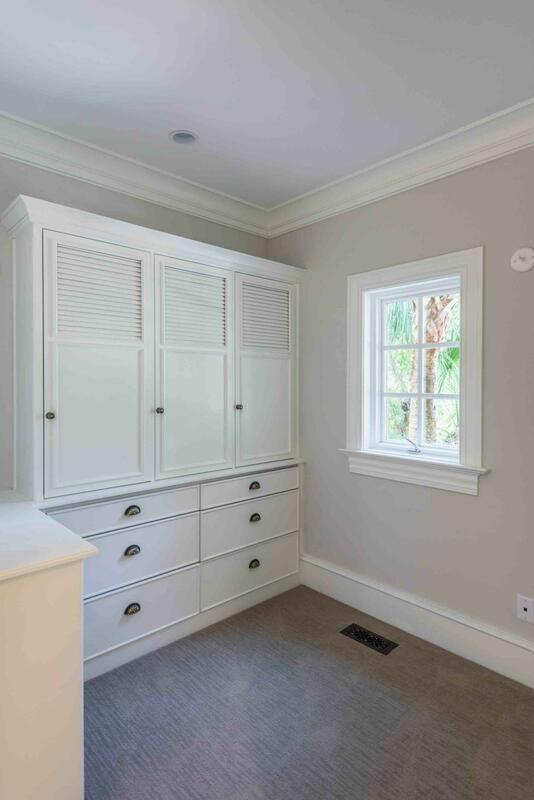 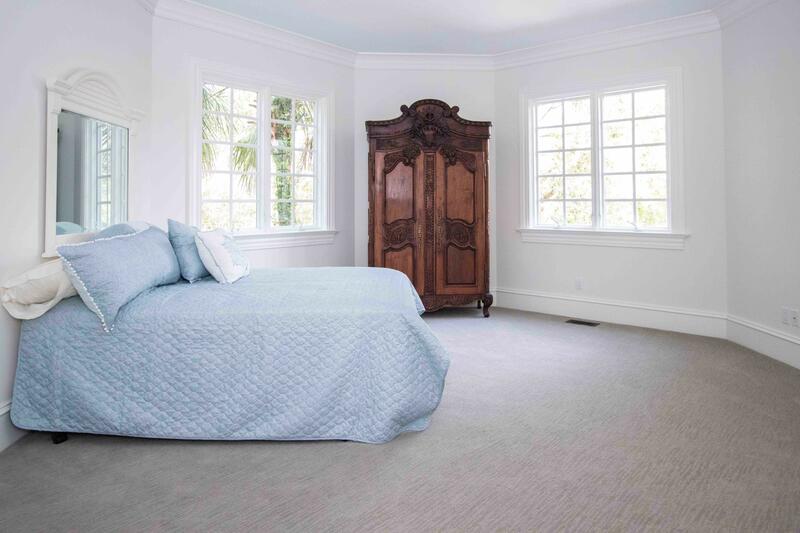 With its third-floor location, the private master bedroom is light filled with tray ceiling and sitting room. 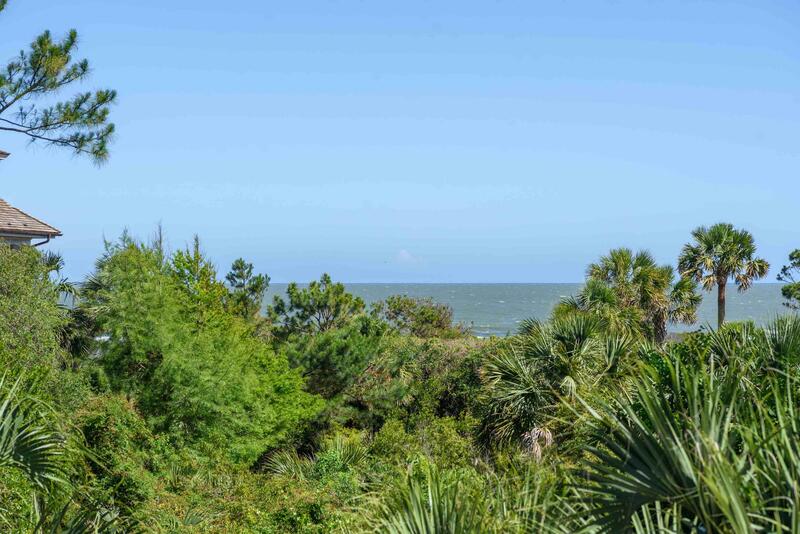 It affords superb ocean views and the lulling sound of ocean waves as you sleep. 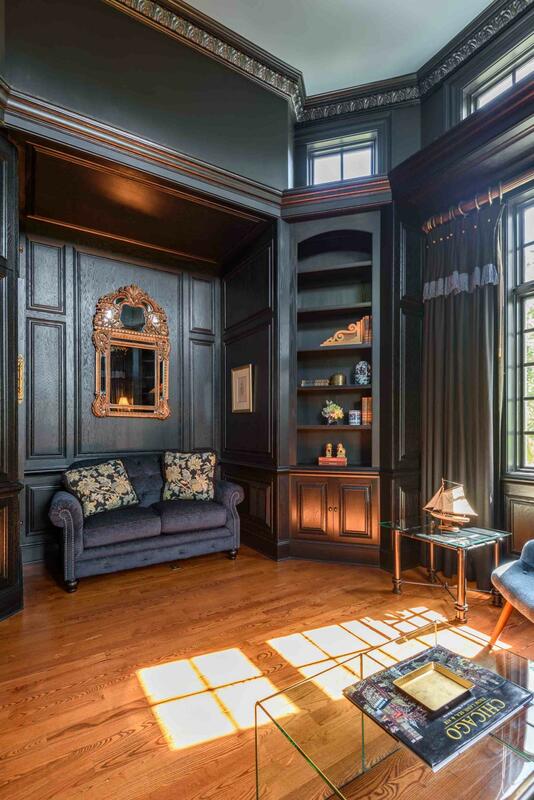 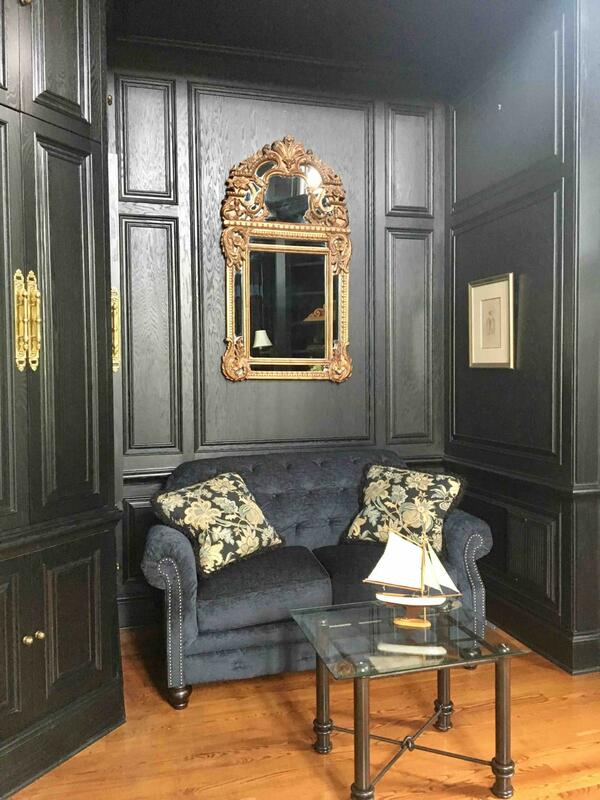 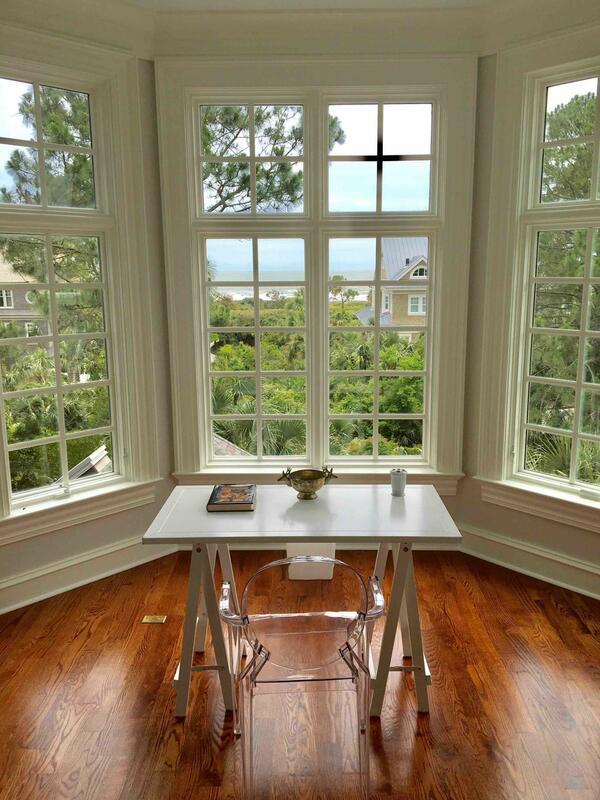 The sitting room can be a home executive office with spectacular views. 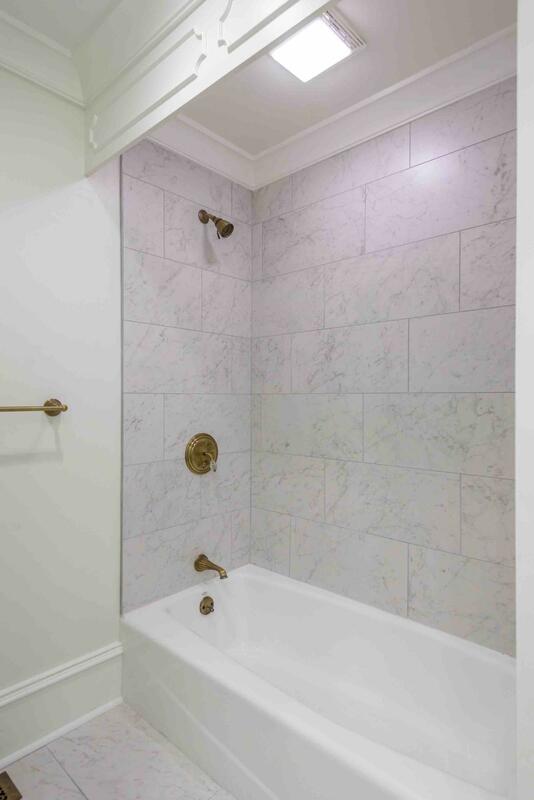 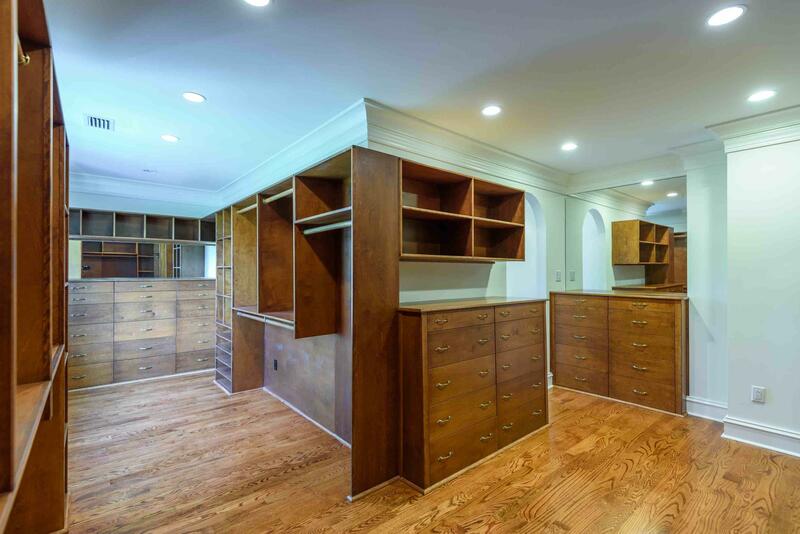 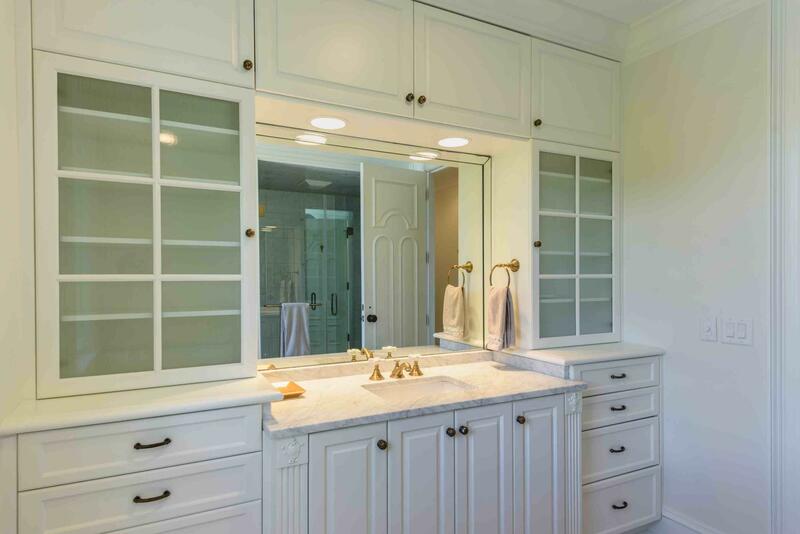 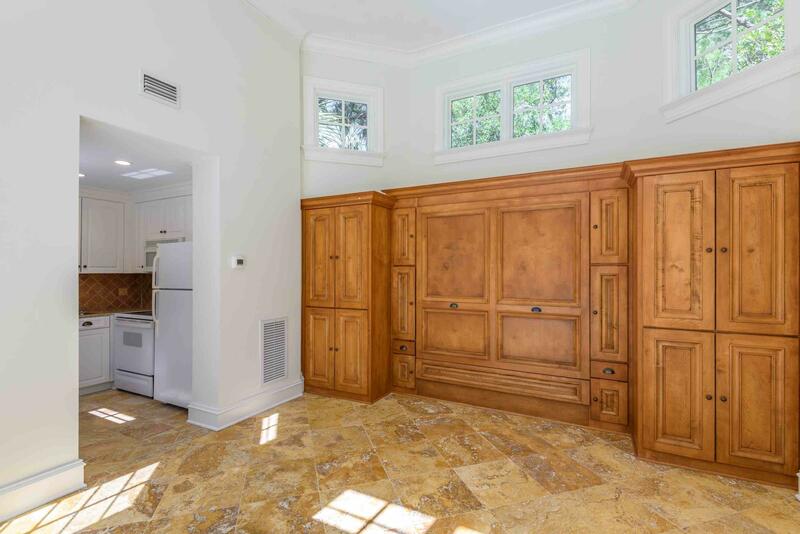 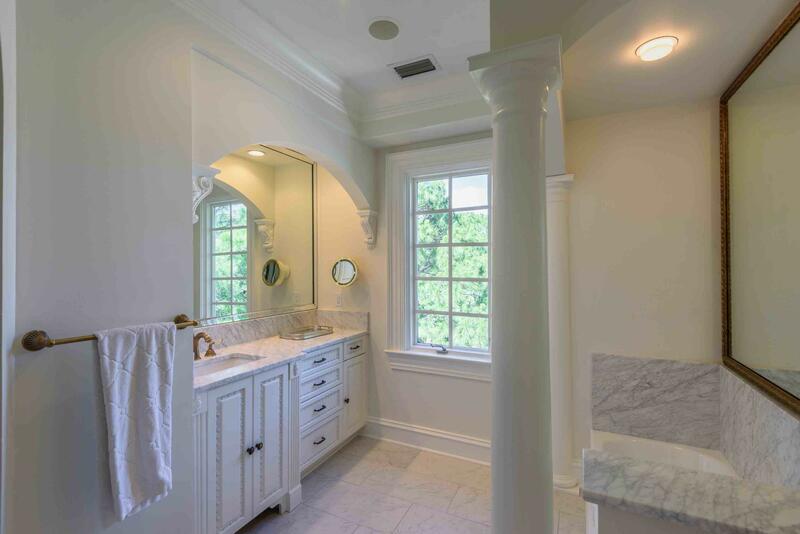 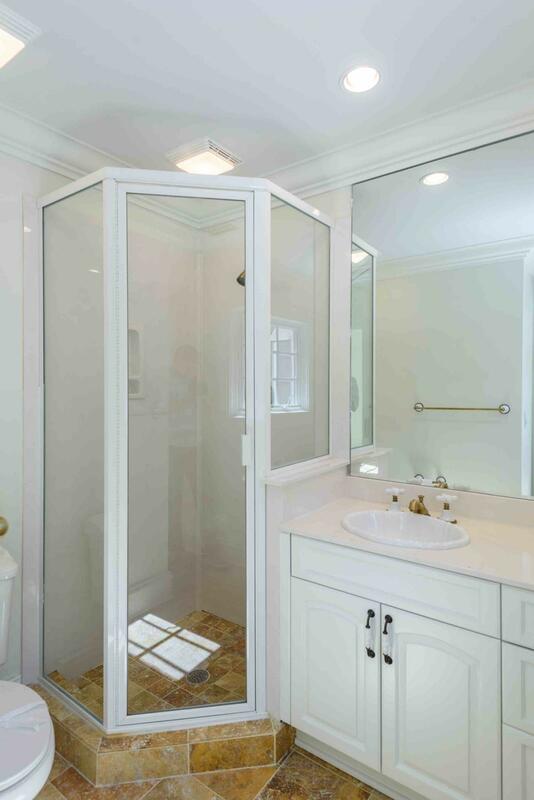 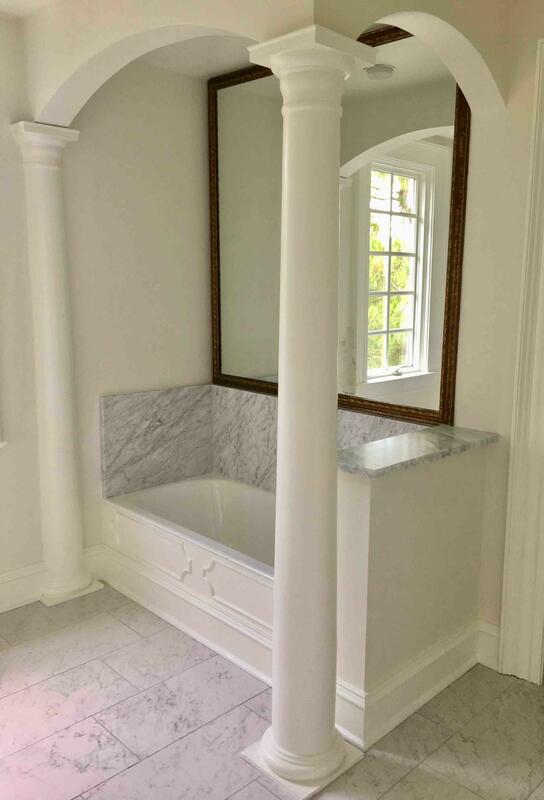 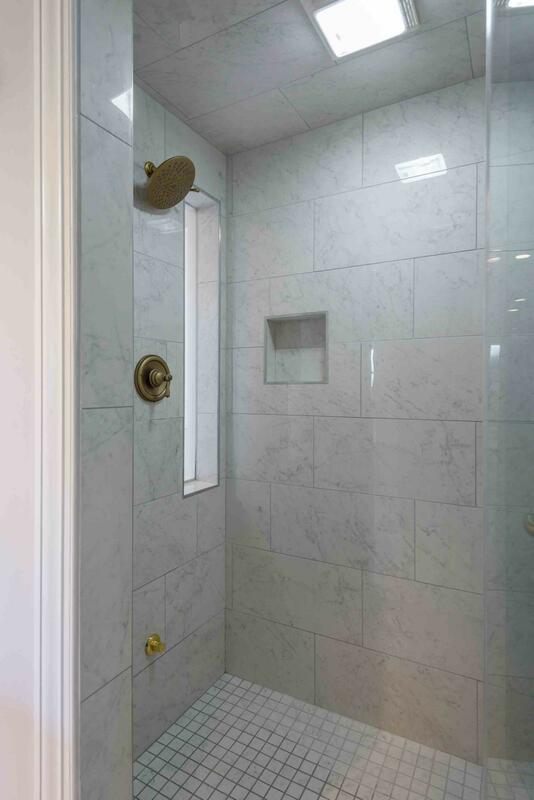 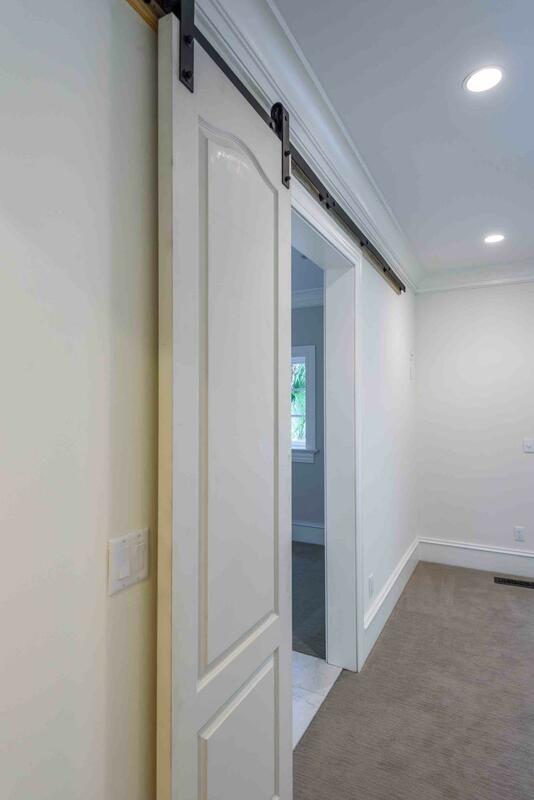 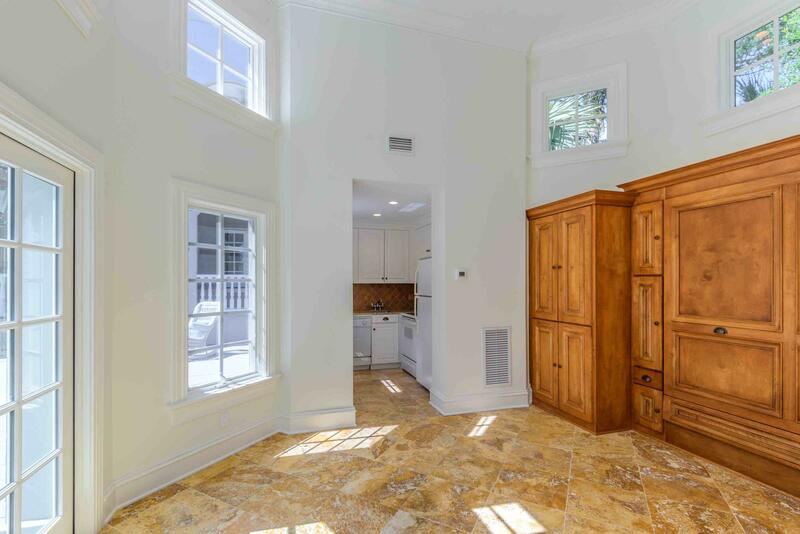 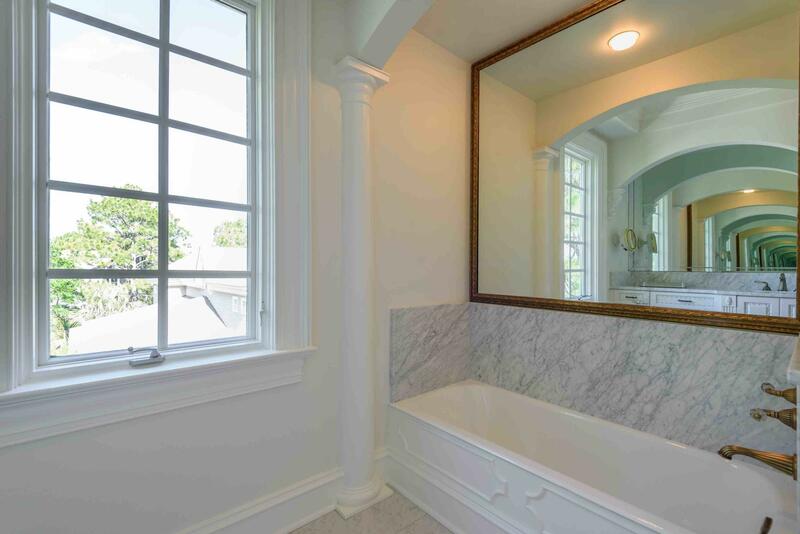 His and her bathrooms with enormous cedar walk-in closet and additional large a closet. 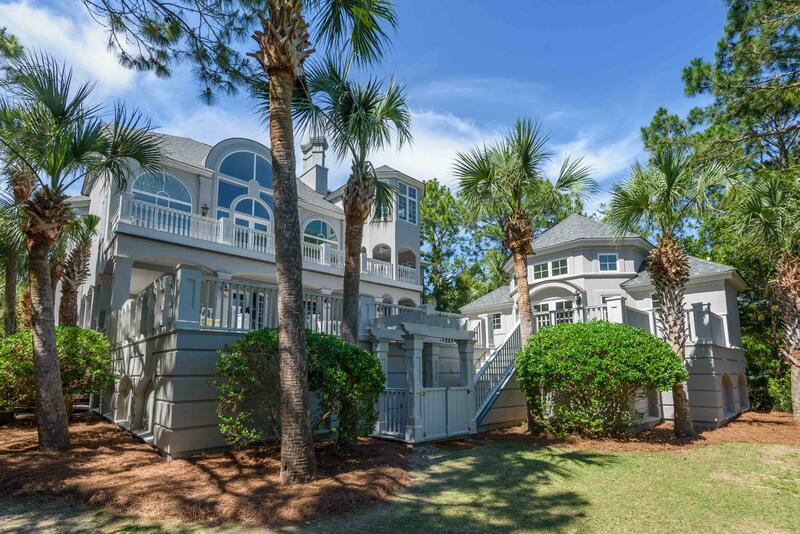 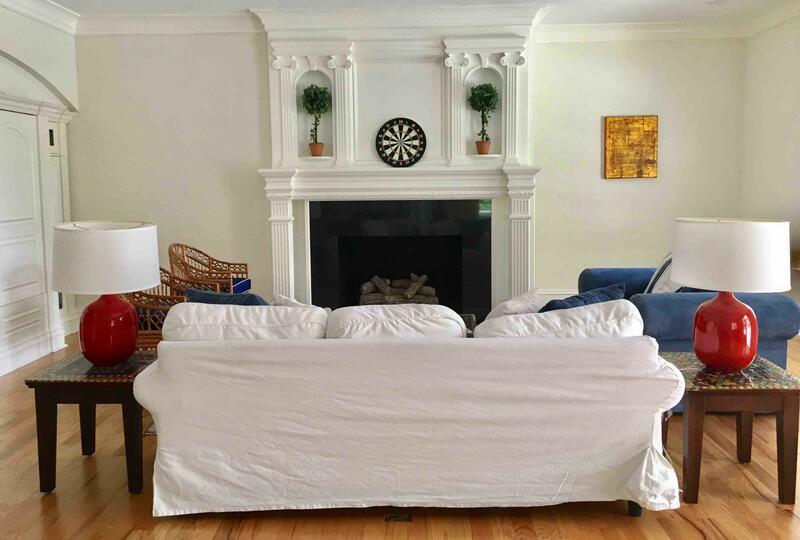 Downstairs you will find large gathering family / game room with fireplace and wet bar, 3 spacious ensuite bedrooms, laundry room, access to porch with swing overlooking the guest house, deck, pool, and ocean. 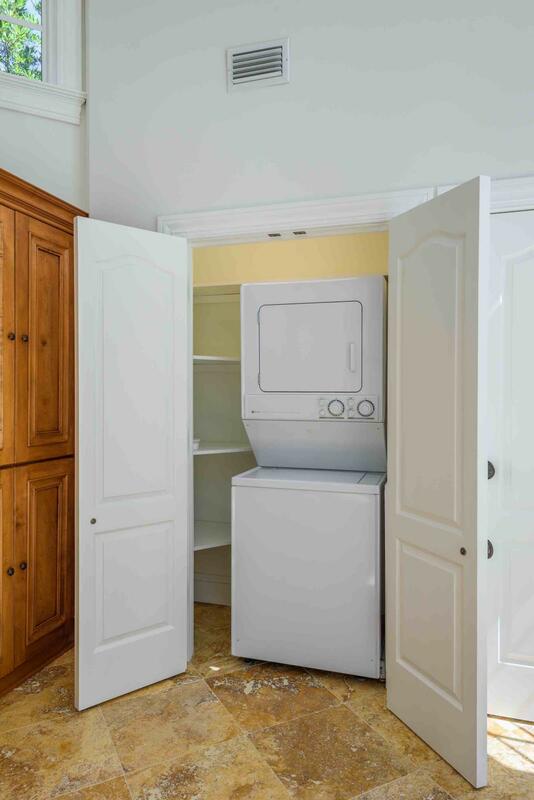 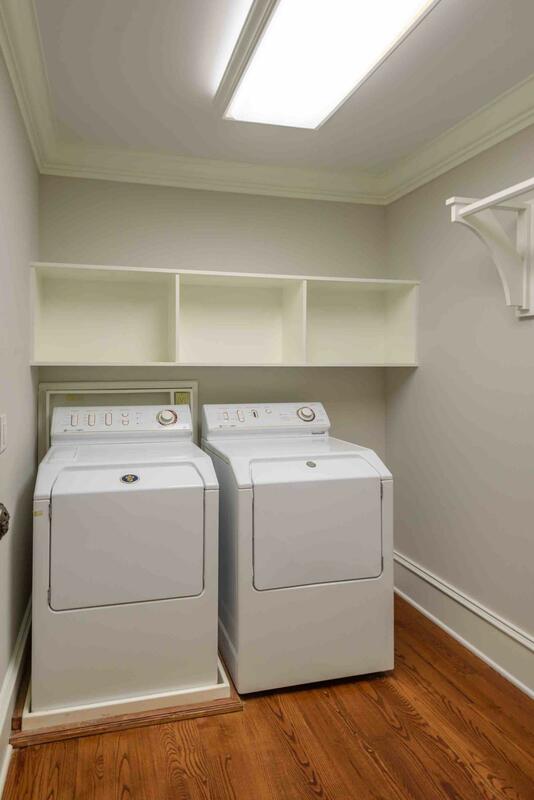 Guest house boasts a full kitchen, bath, and laundry room. 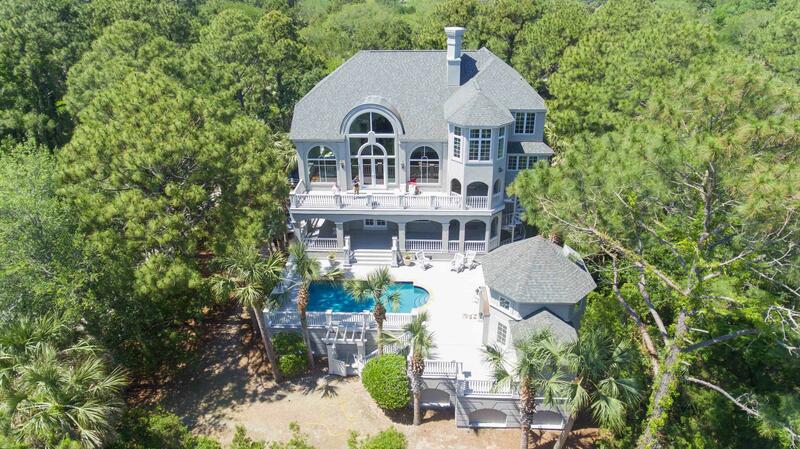 It easily functions as a 5th bedroom. 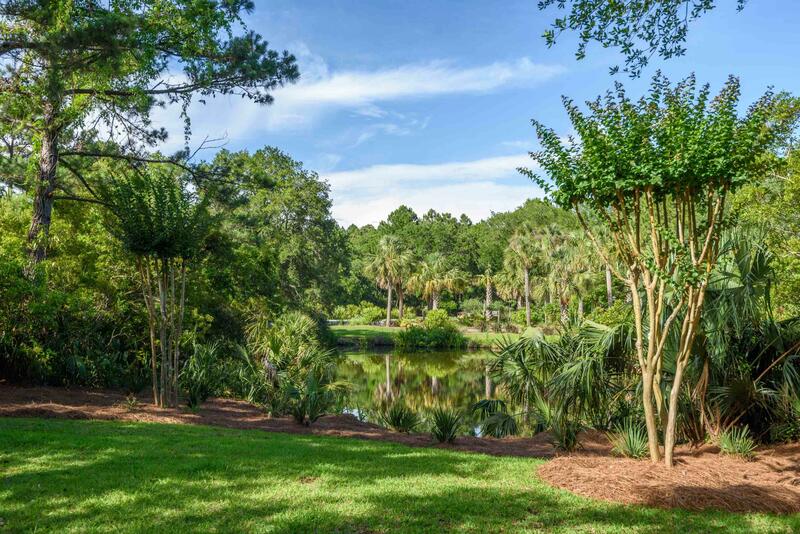 Landscaping is highlighted by charming pond that shields you from the street, a private croquet area, a fire pit gathering spot, and two outdoor showers. 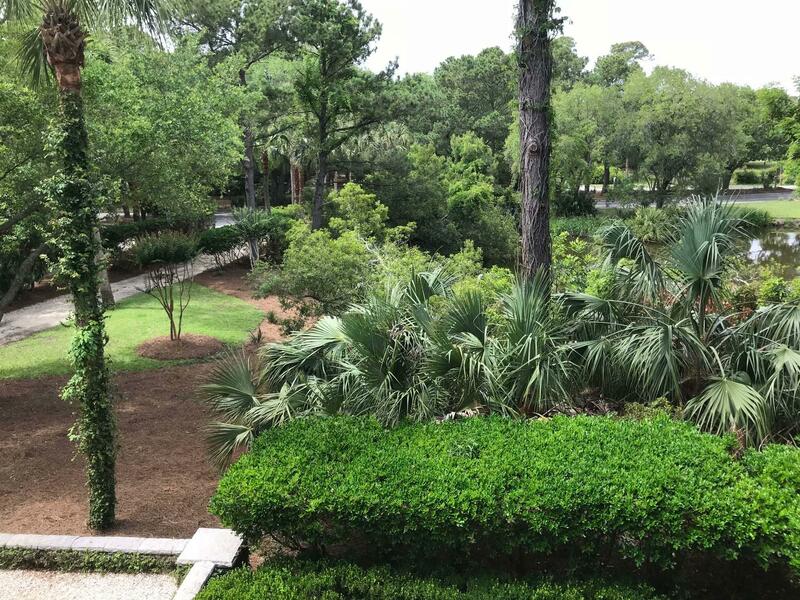 Other amenities include lighting for artwork, wiring for audiovisual entertainment, landscape lighting and irrigation system. 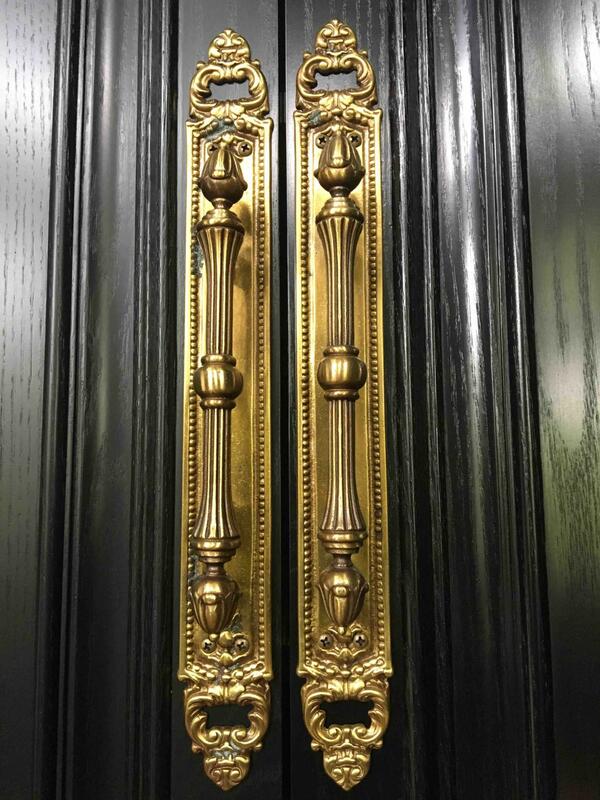 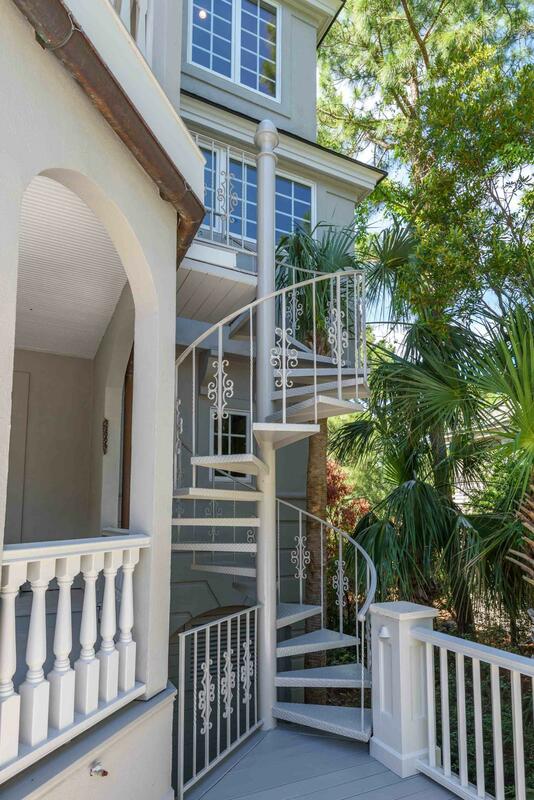 All floors have elevator access. 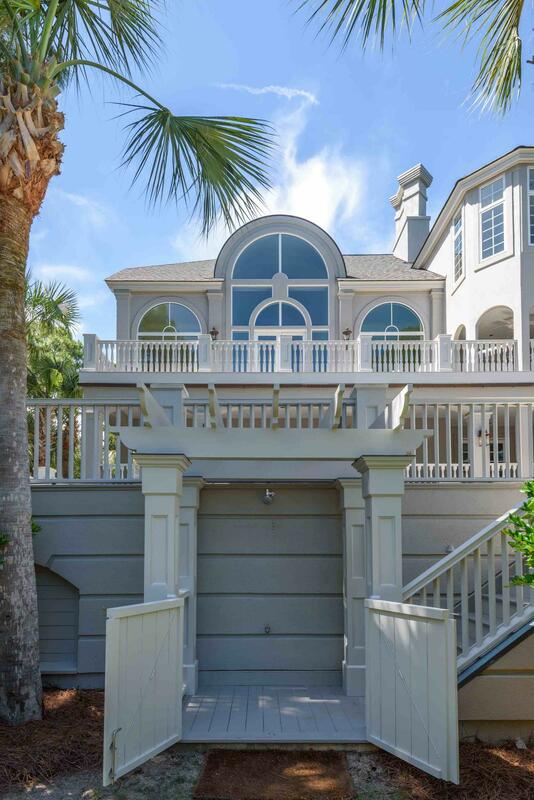 The oversized and deep two-plus bay garage can accommodate cars, boats and golf carts. 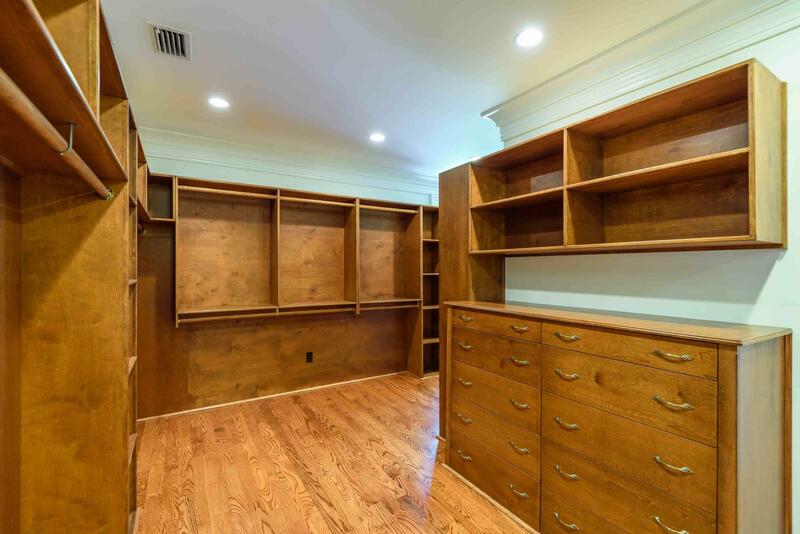 The lower level offers expansive storage space for bikes, beach gear, exercise equipment, etc. 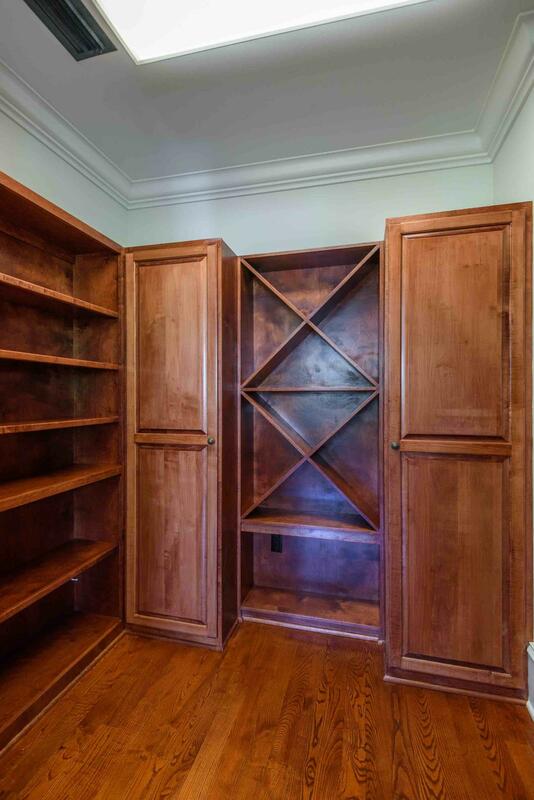 Most furnishings available. 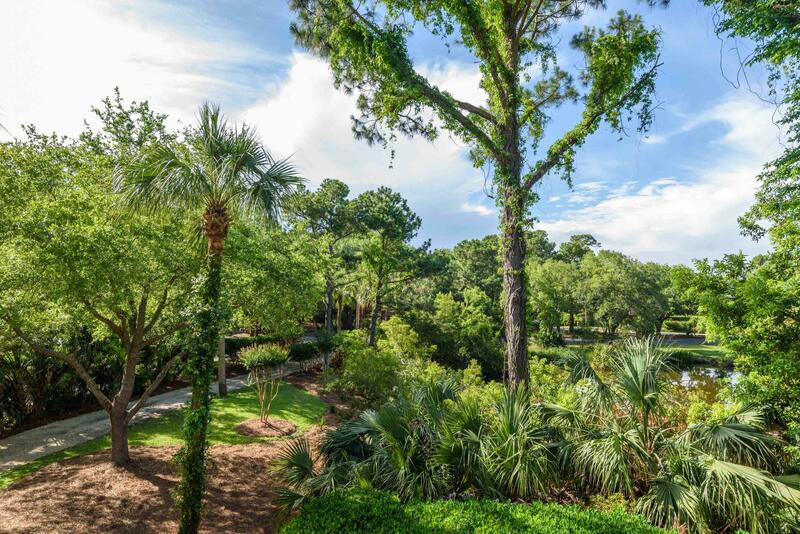 Opportunity to purchase exclusive Kiawah Island Club Golf Membership is available so you can enjoy all the amenities Kiawah has to offer. 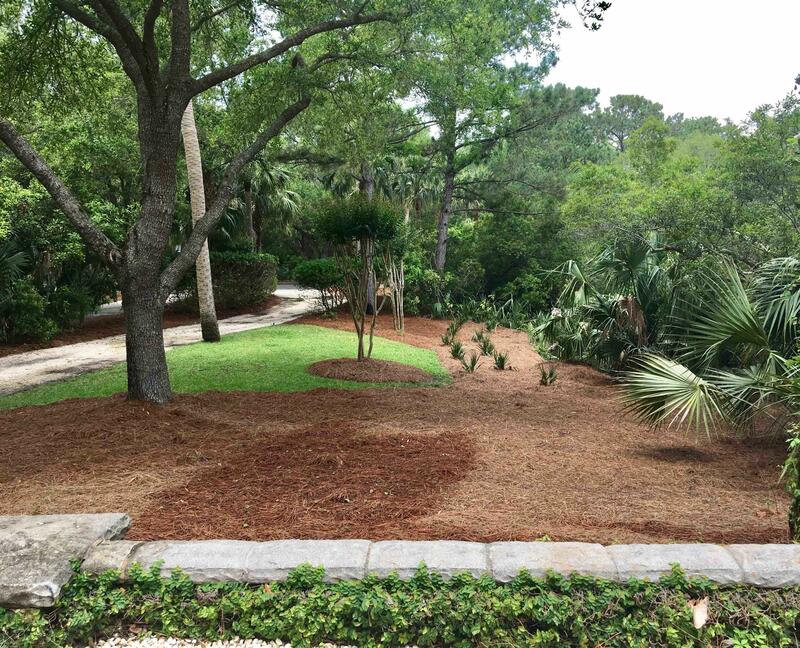 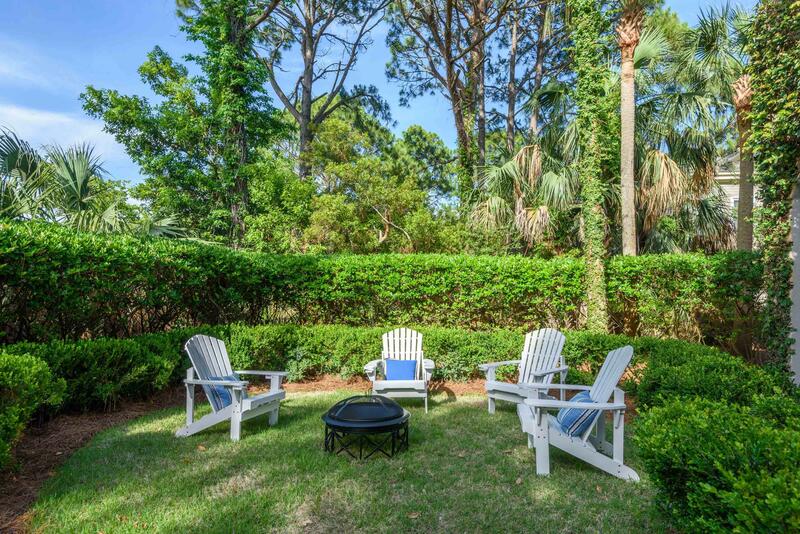 Ideal location to the Beach Club via the beach or a minutes golf cart ride. 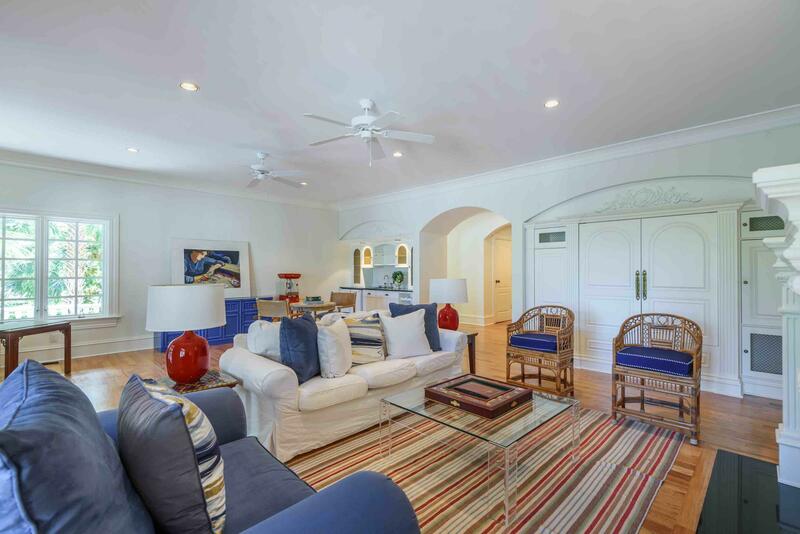 Sold partly furnished. 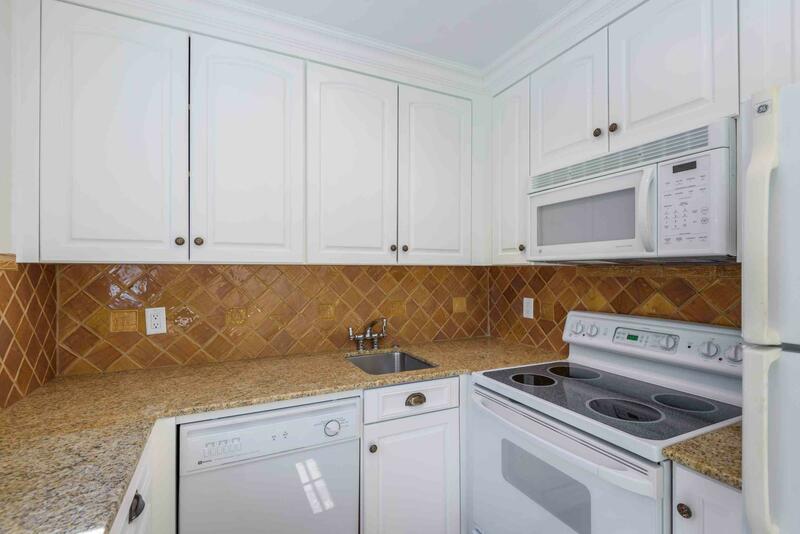 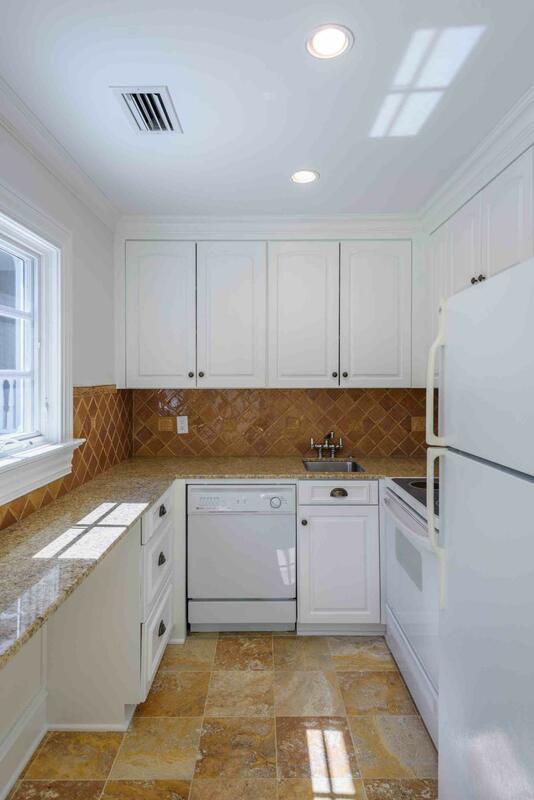 For investment purposes, this home has great rental potential.